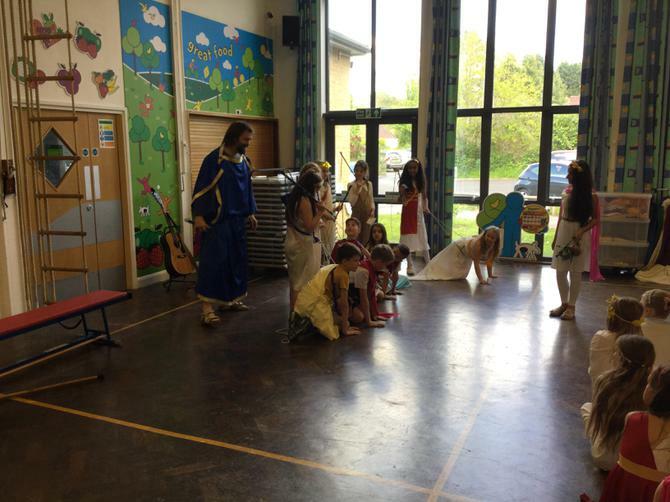 This half term our topic theme is 'Journeys'. 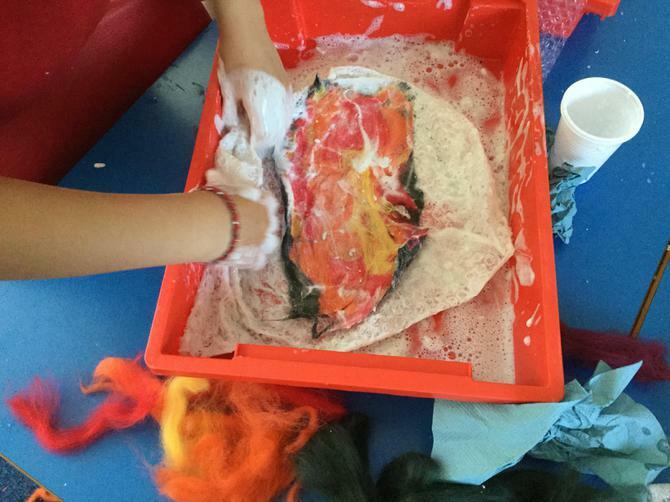 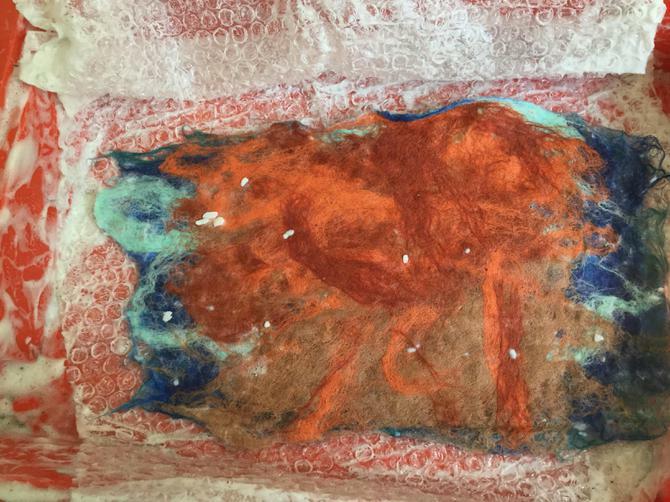 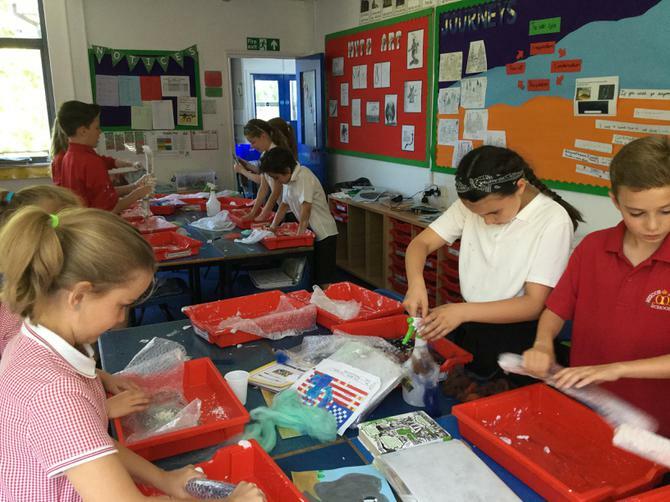 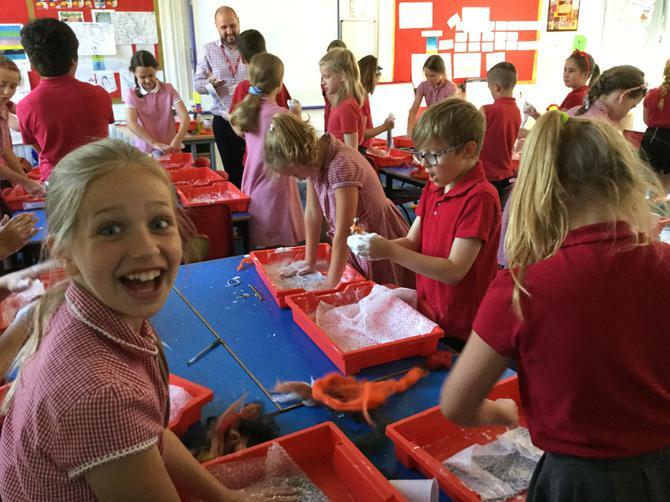 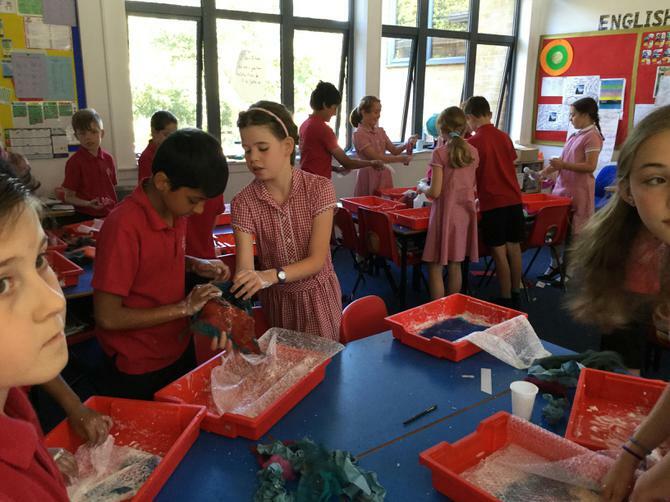 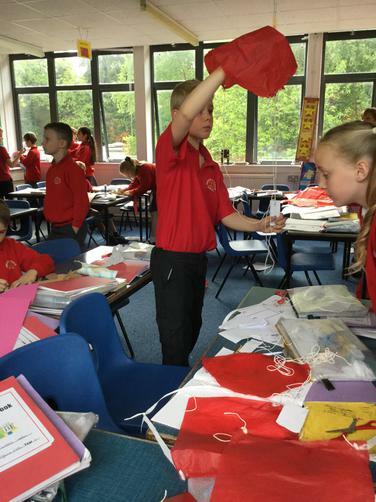 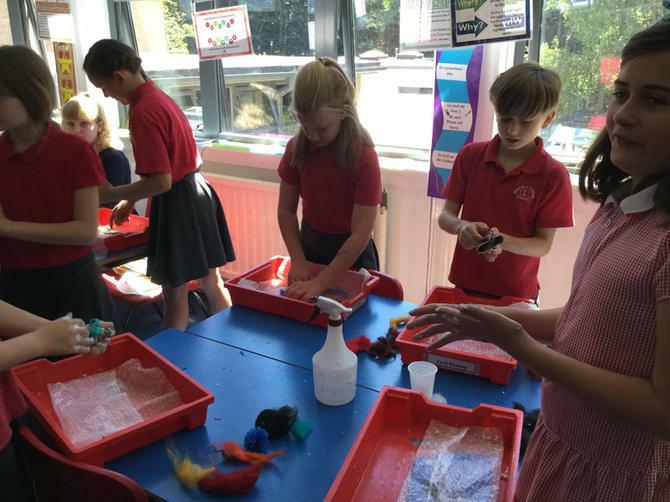 Using stitching to add detail to our felt volcanoes. 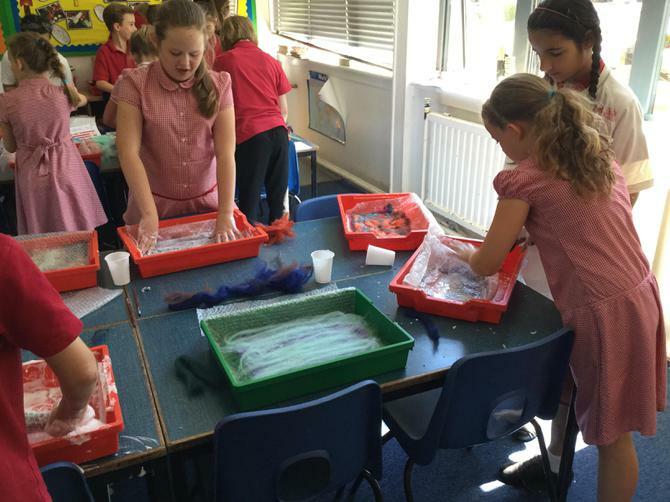 Transition Day. 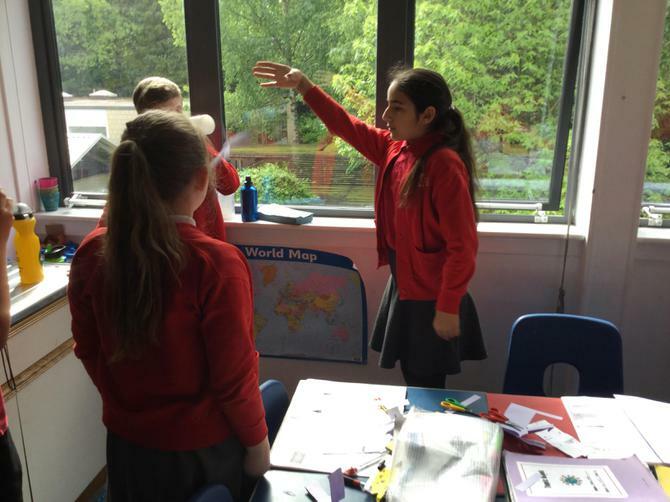 Learning about the Americas. 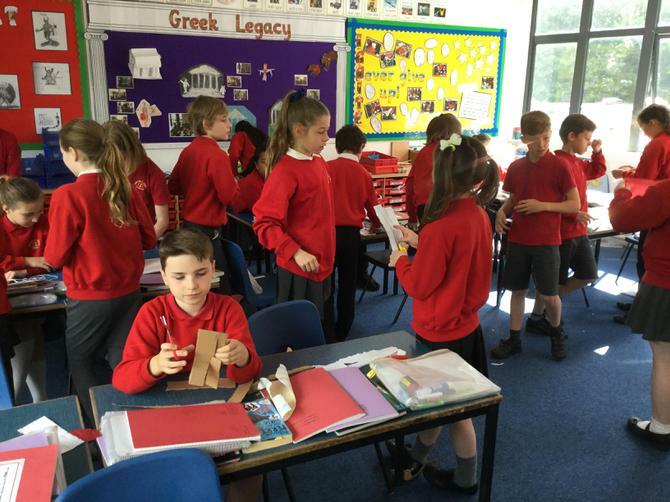 Our visit to the Jewish Synagogue. 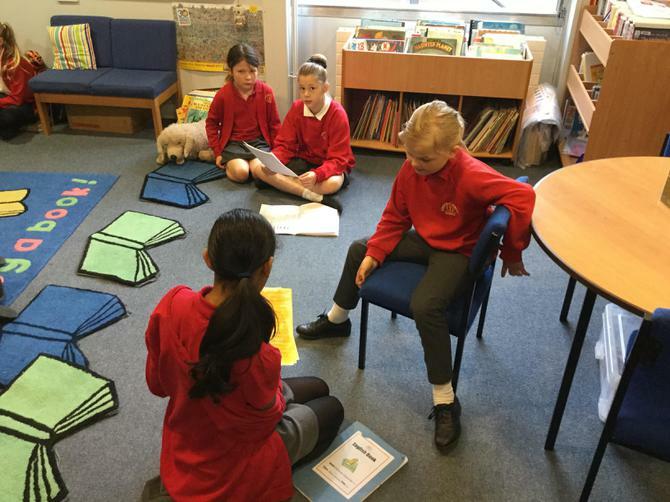 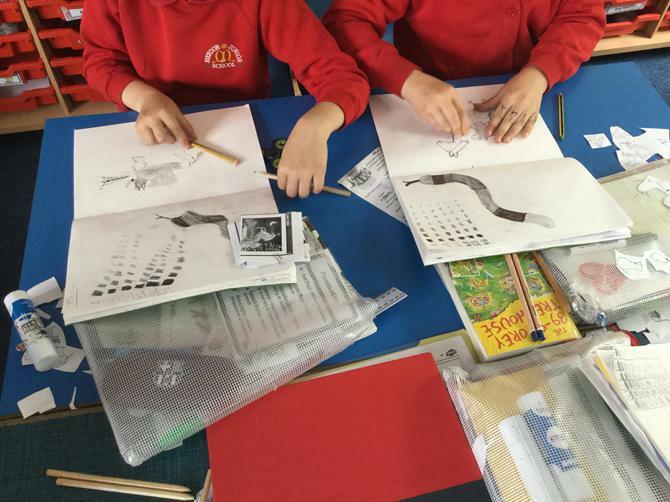 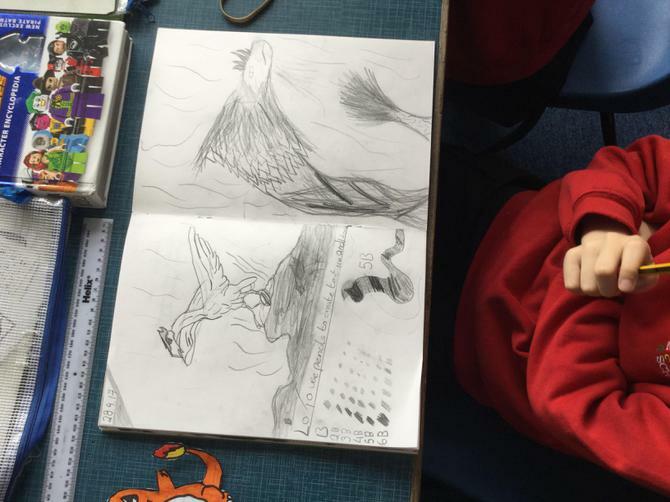 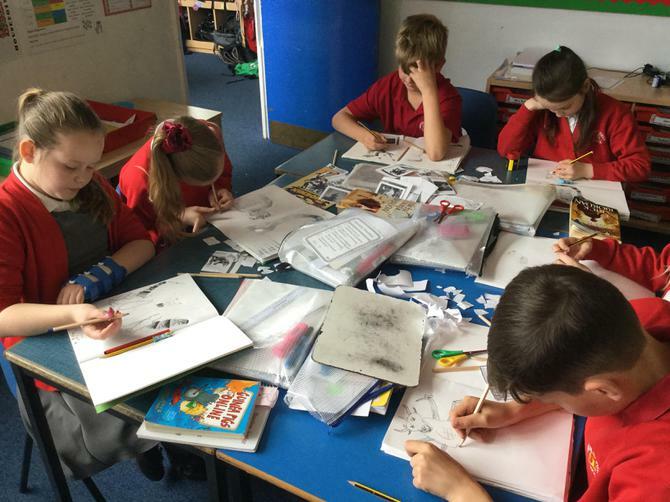 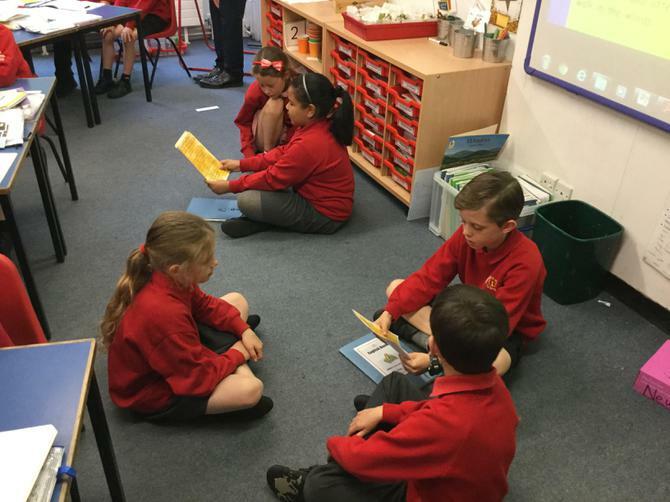 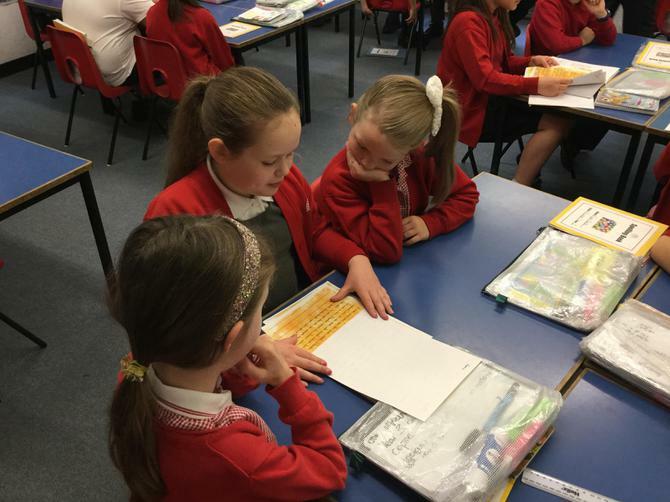 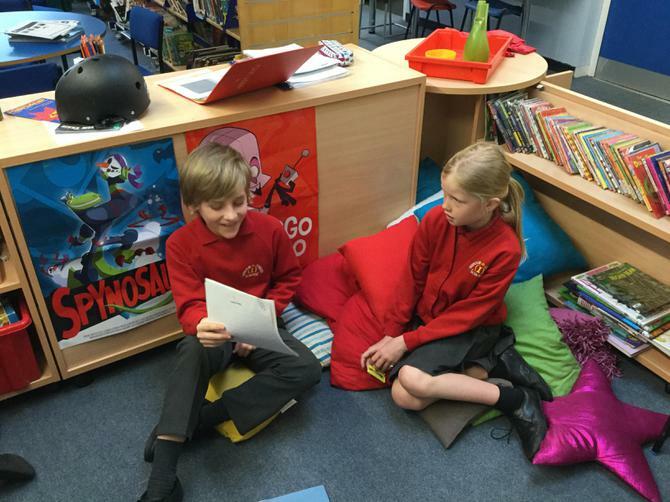 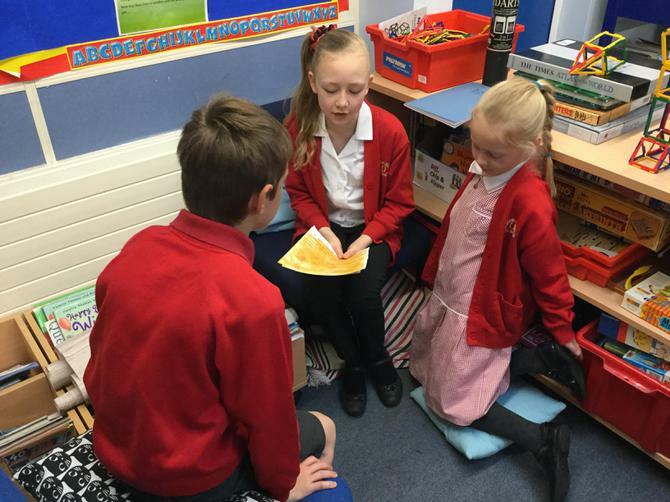 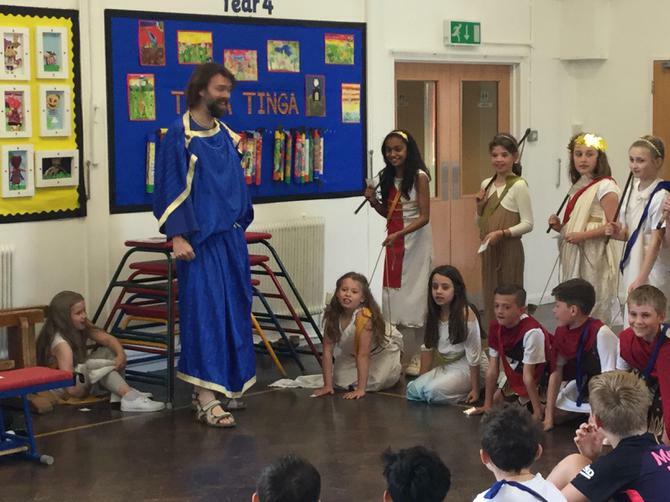 We shared our Greek Myths with Year 3. 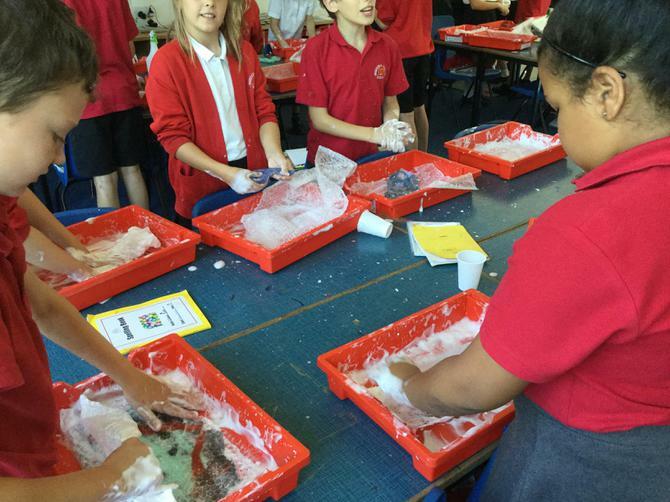 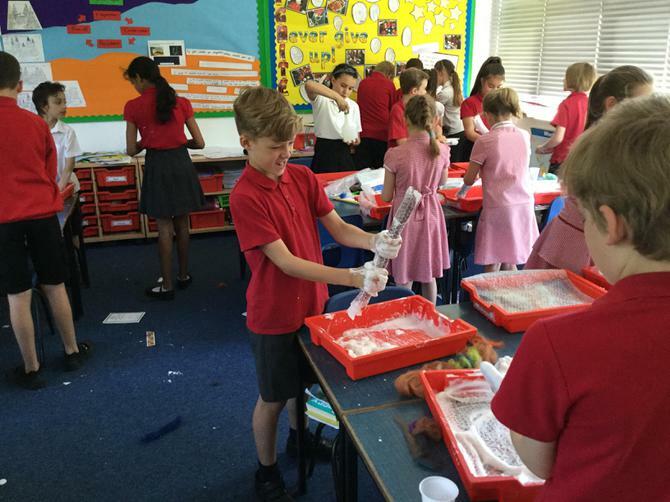 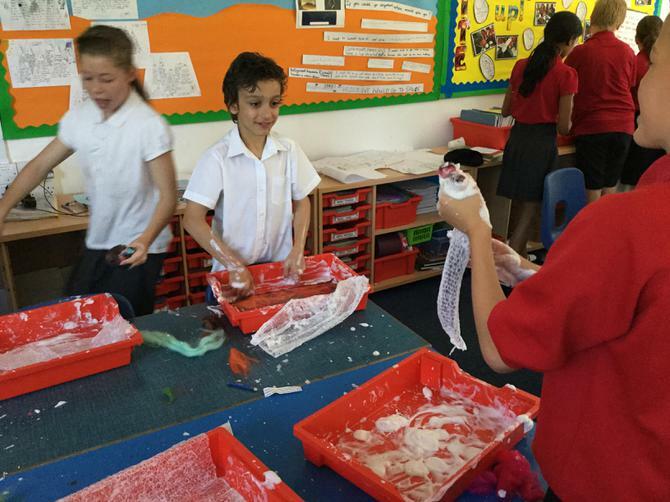 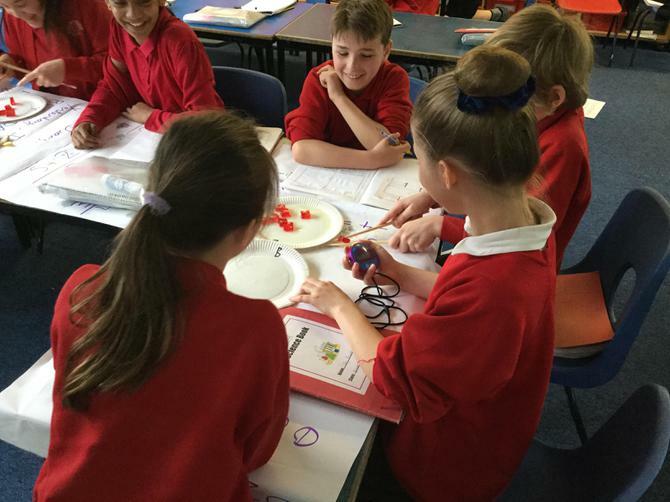 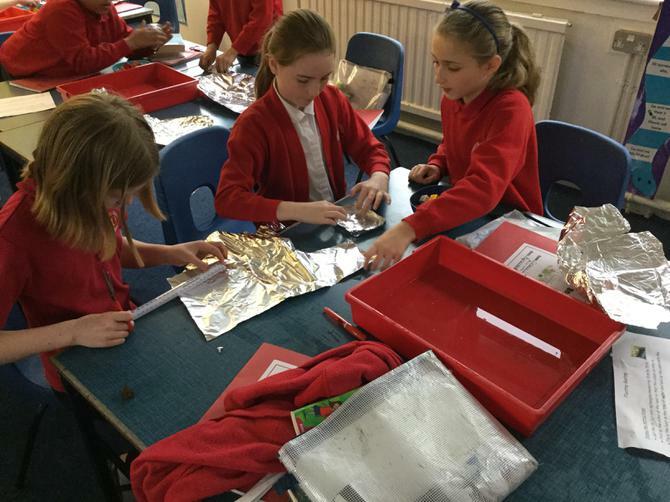 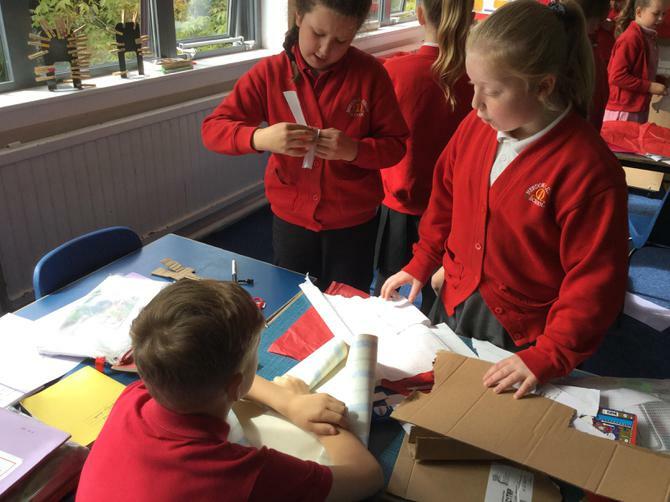 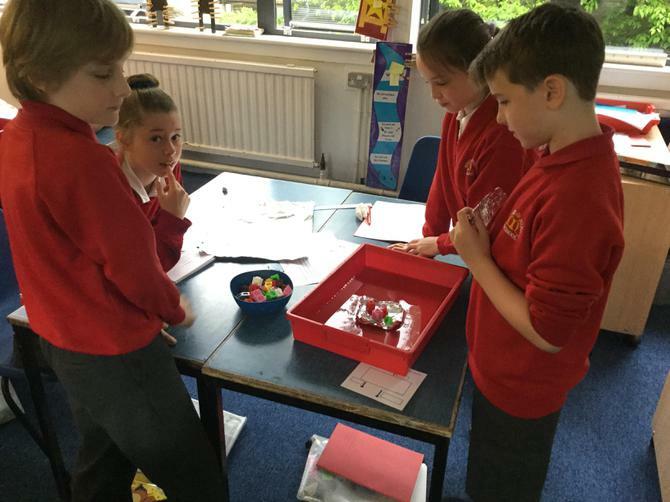 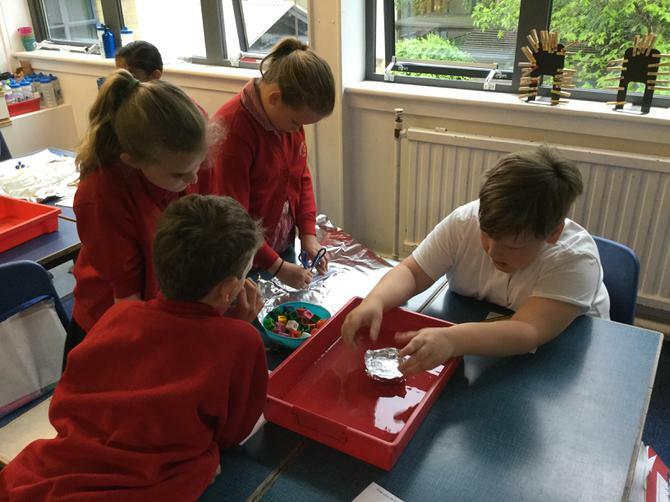 We have been investigating forces! 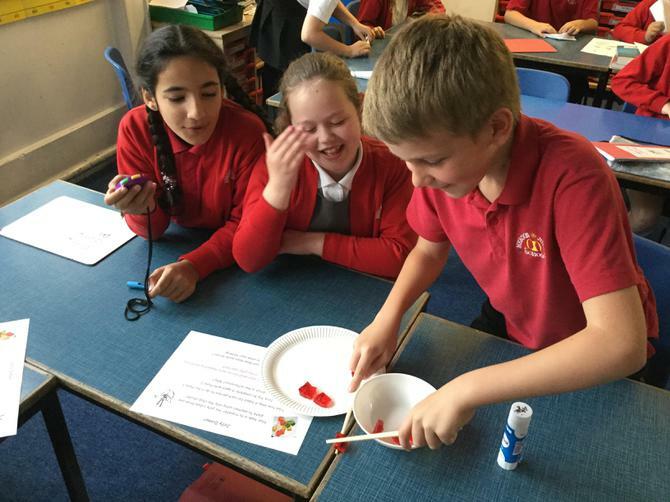 The jelly experiment was tricky. 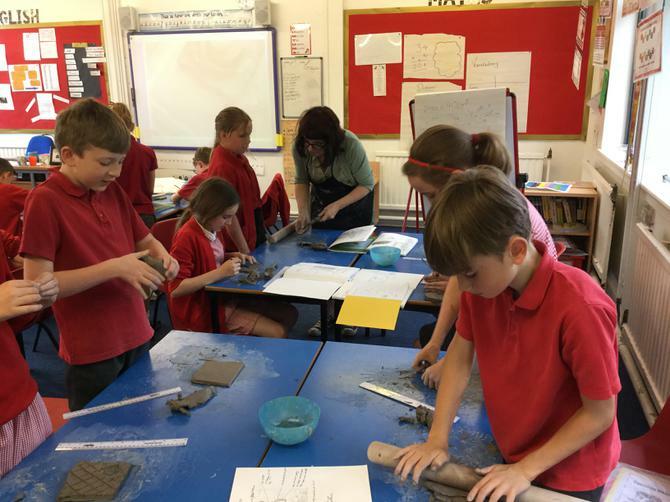 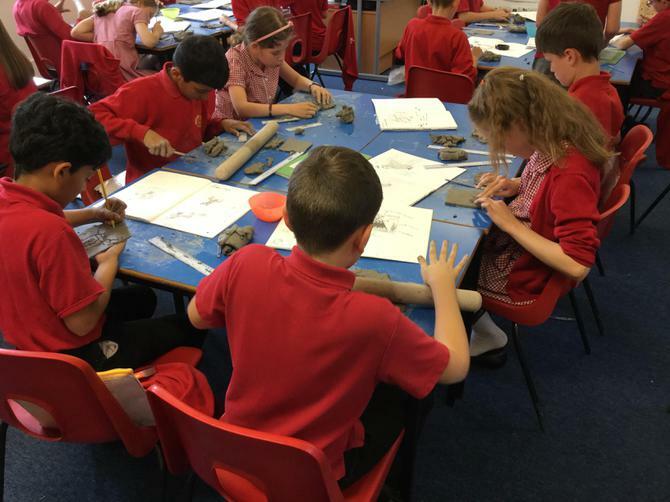 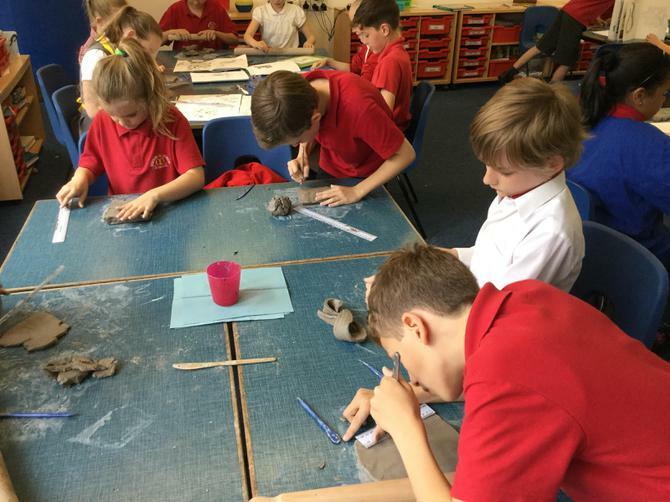 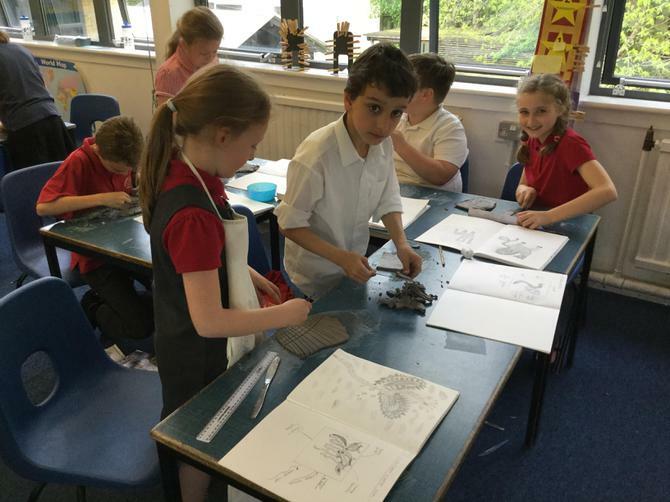 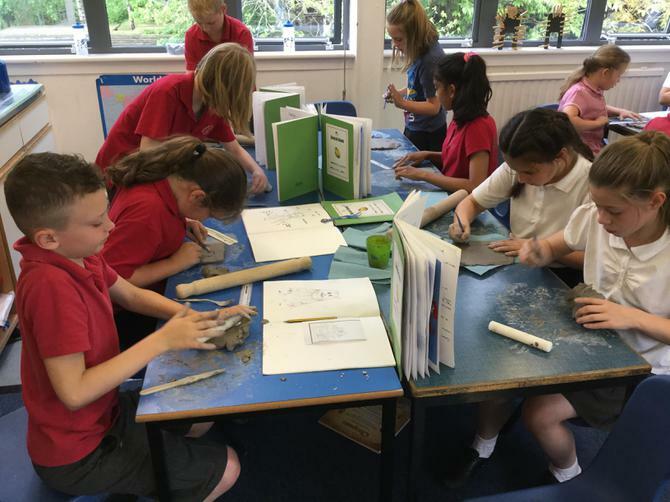 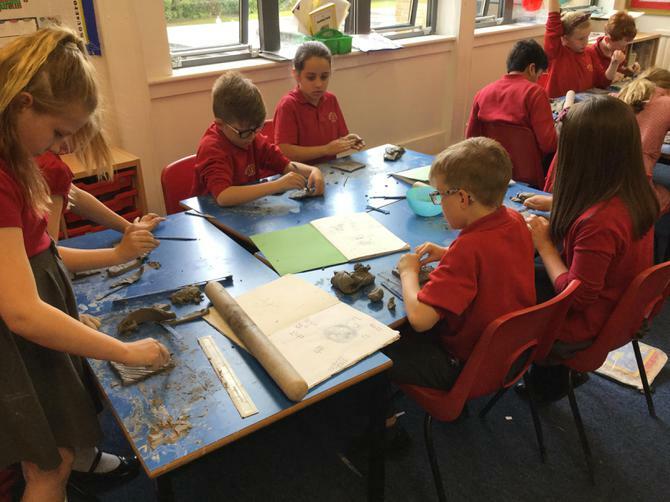 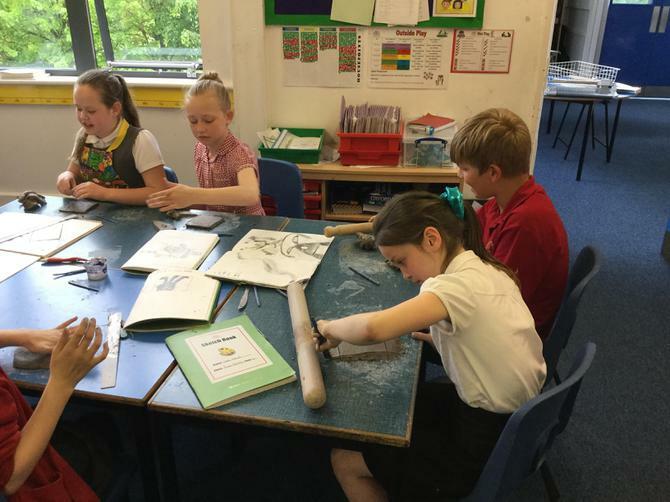 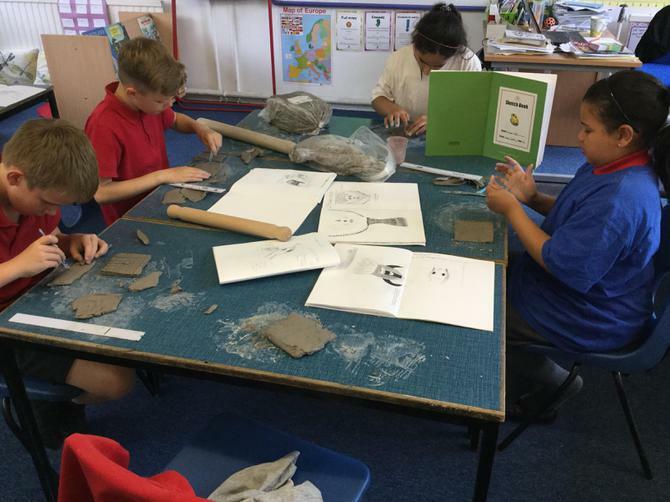 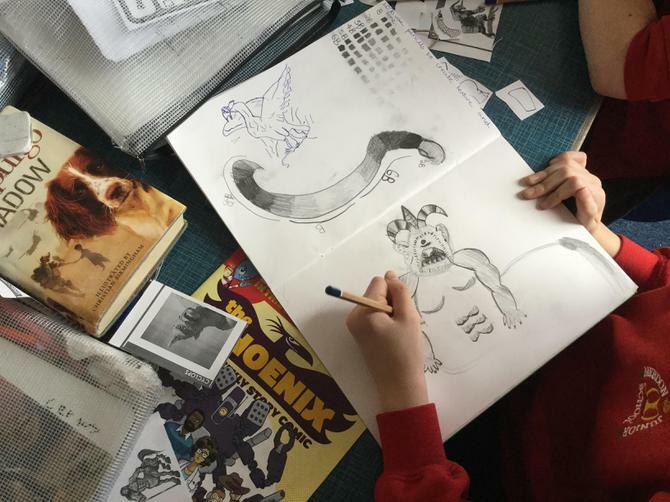 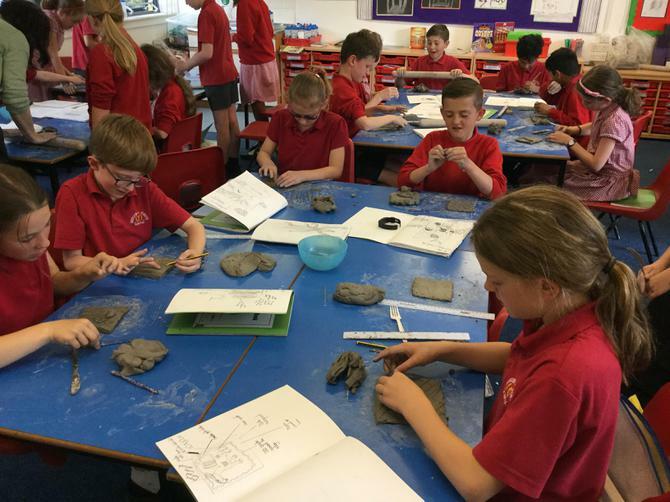 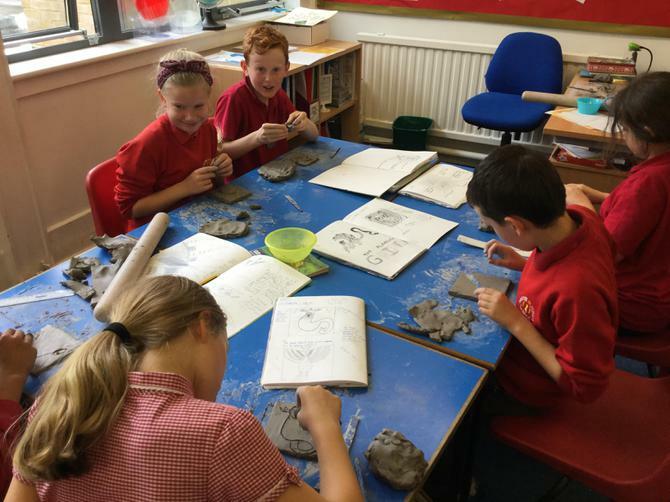 We sketched the monster from our Greek Myth, then we made a clay tile of our creature. 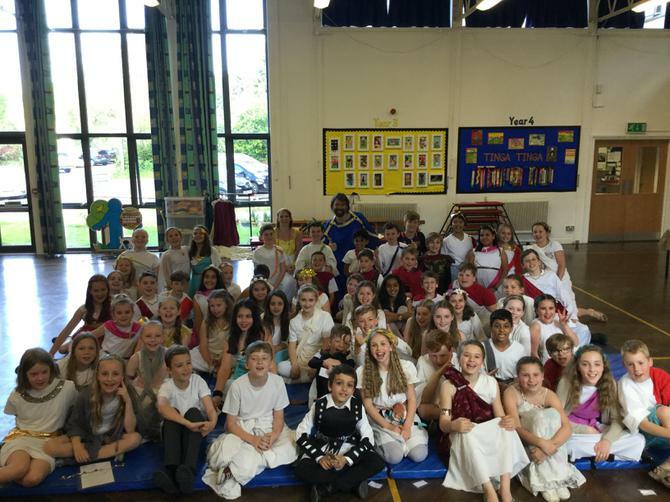 We have had a fantastic day! 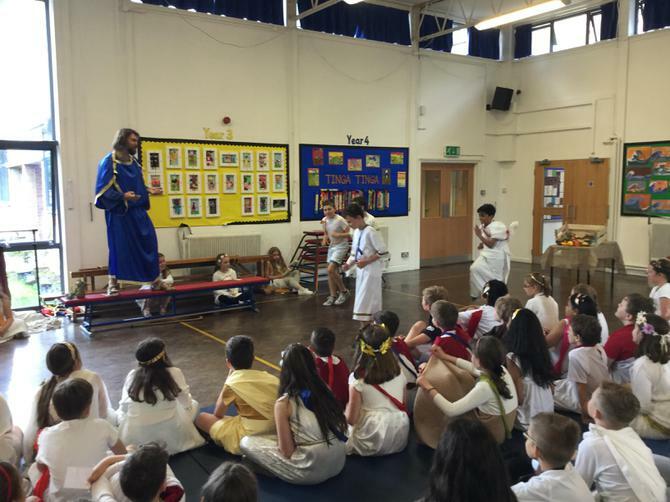 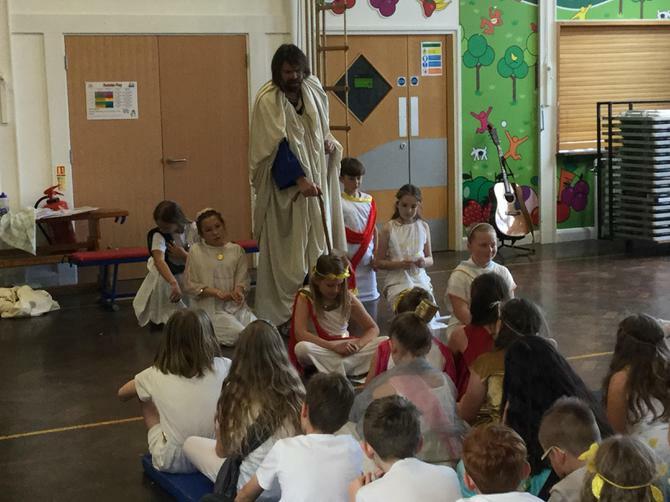 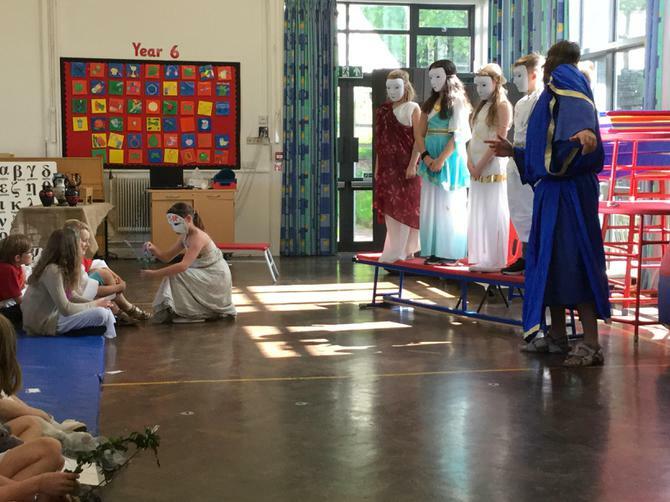 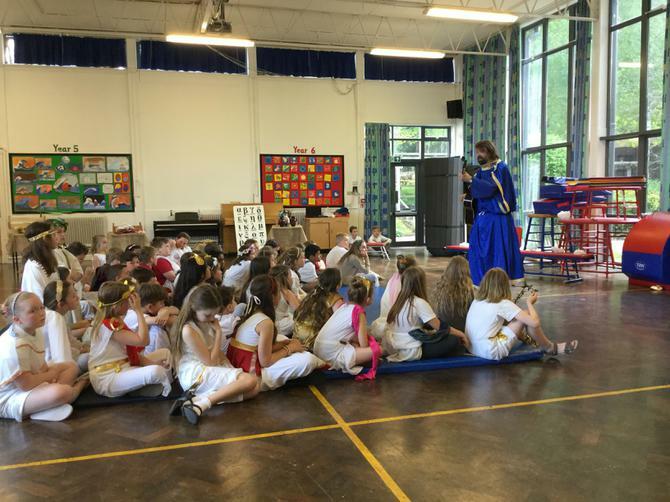 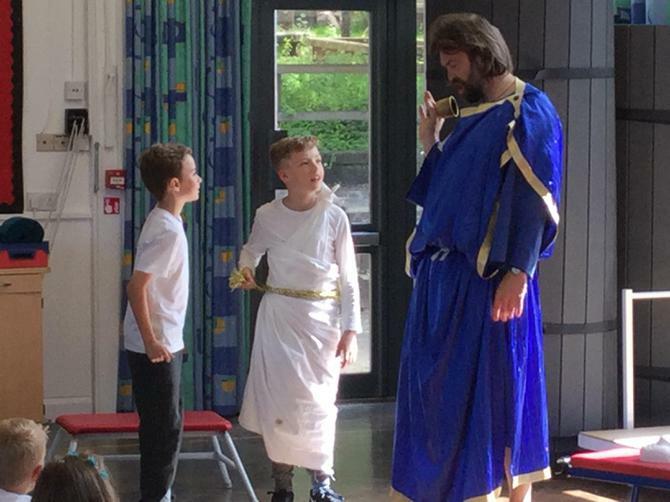 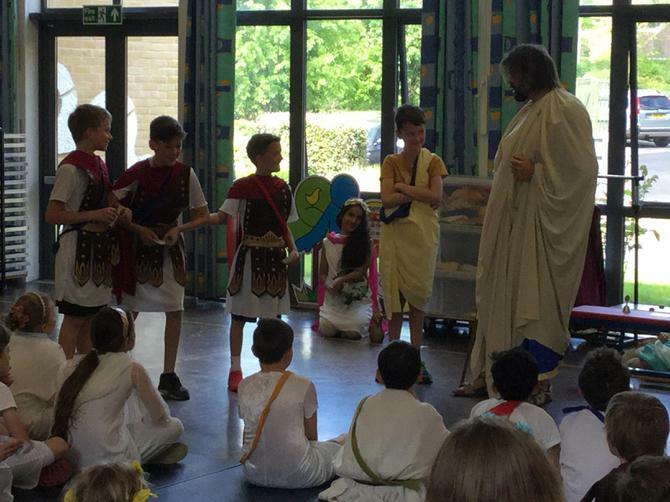 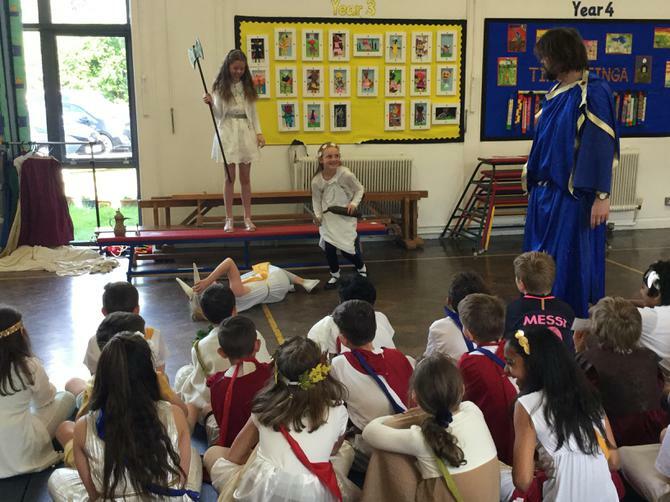 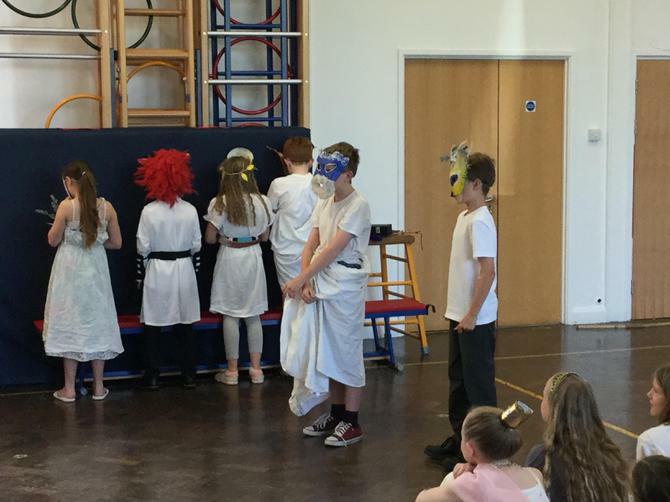 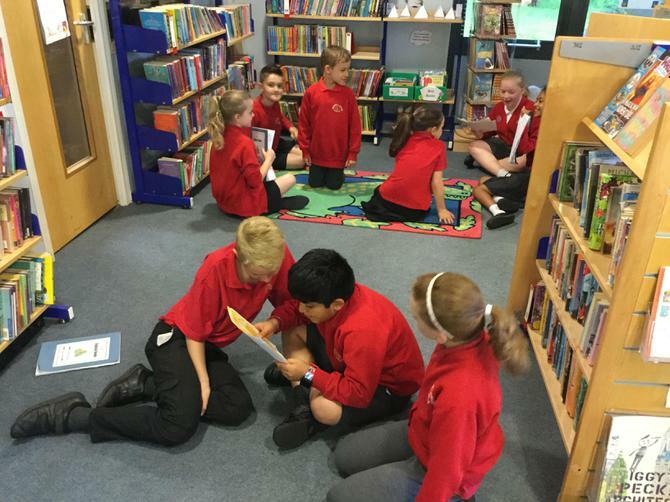 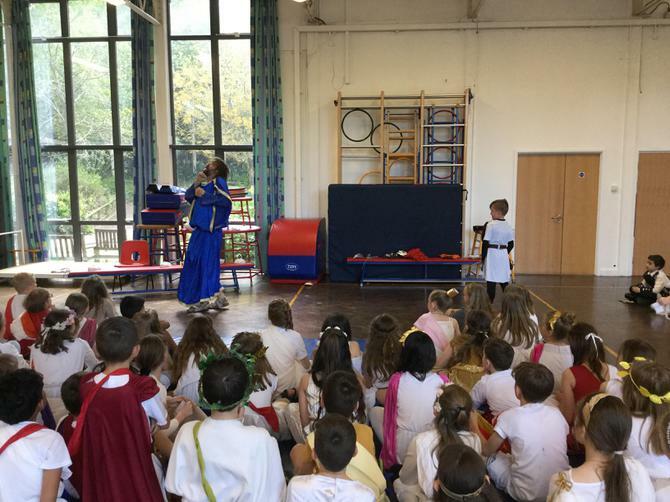 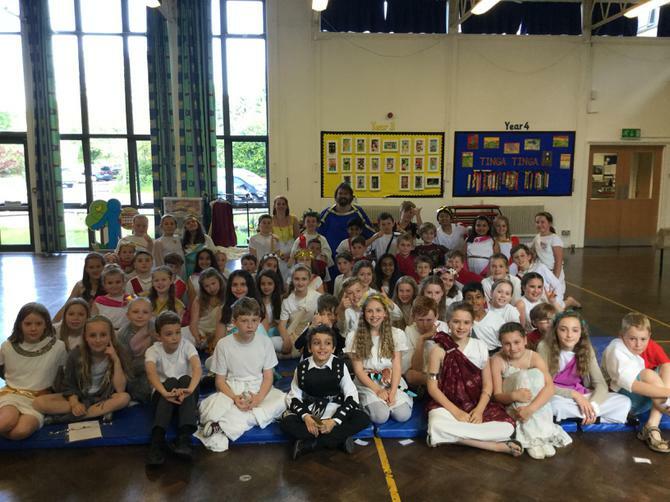 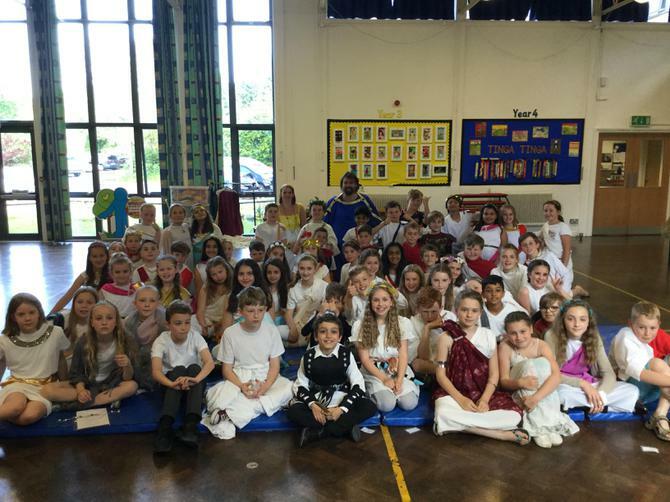 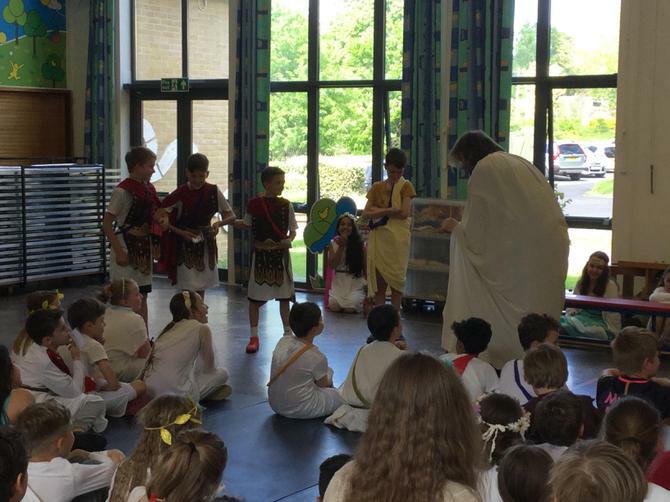 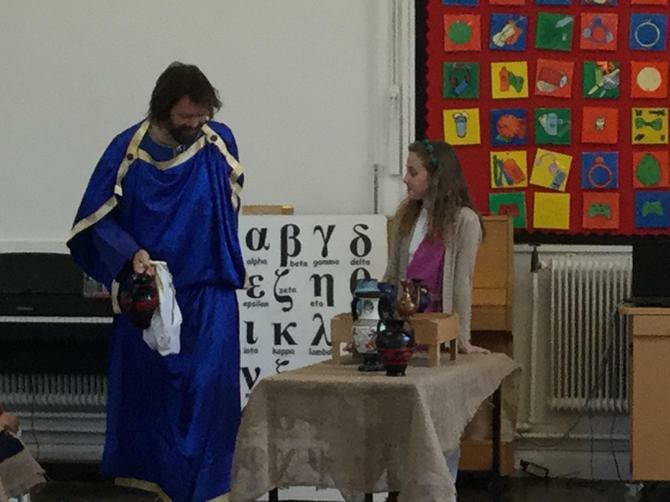 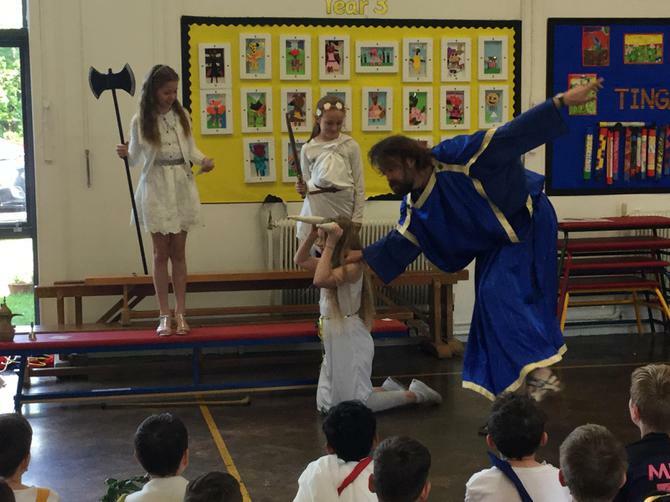 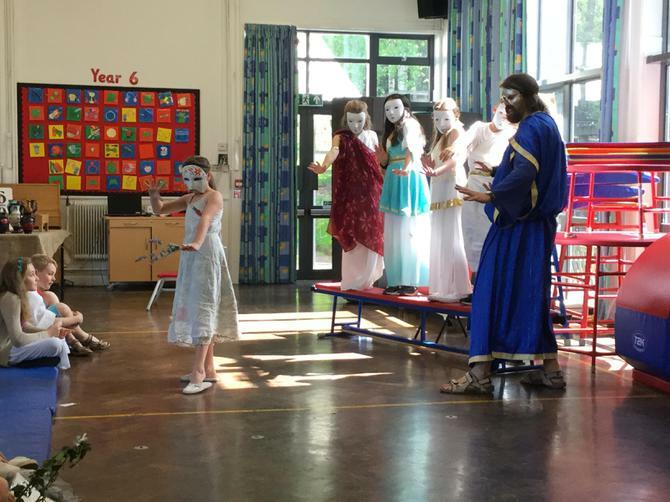 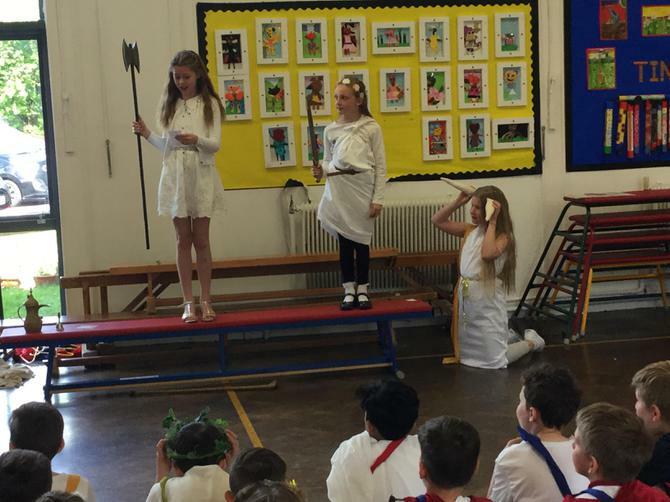 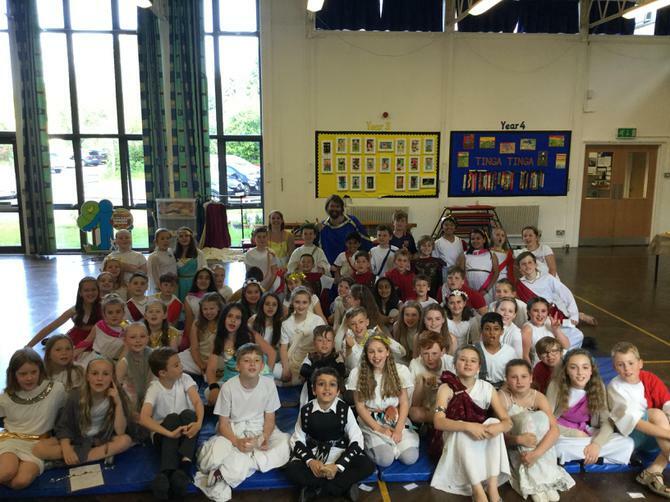 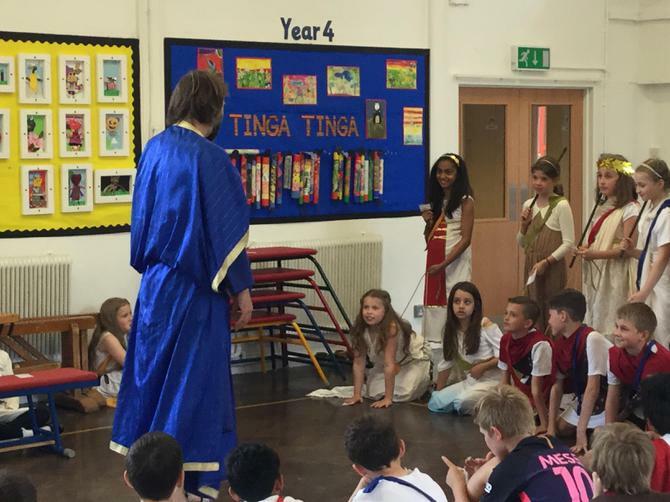 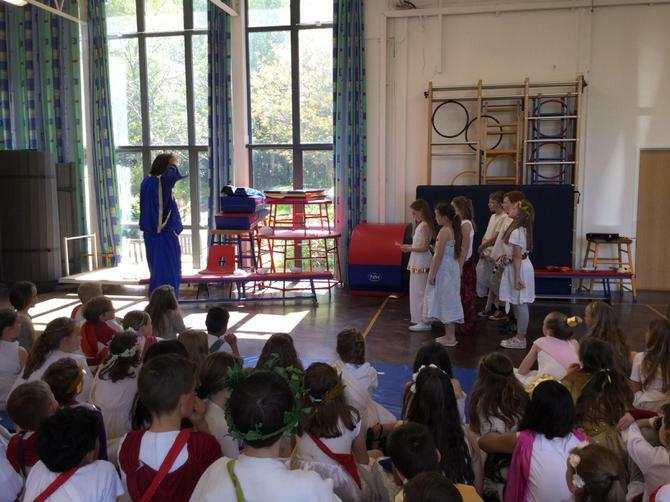 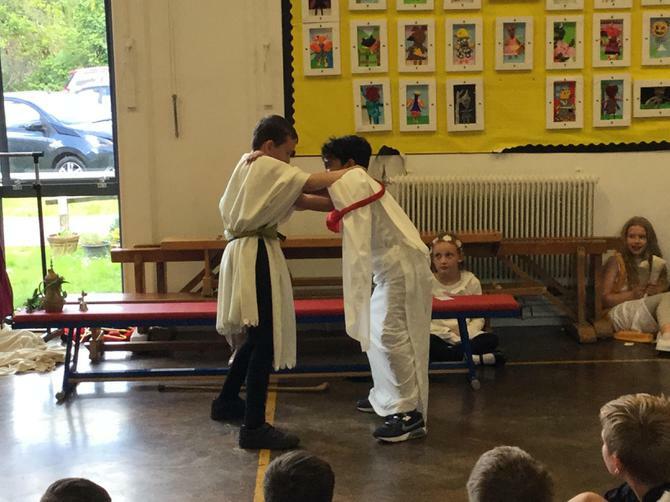 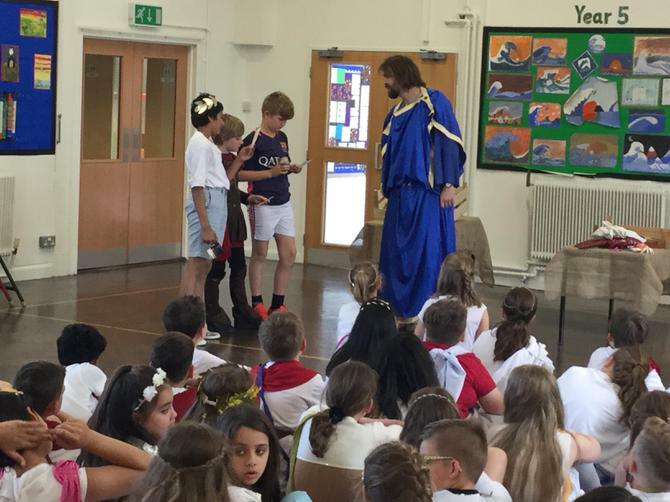 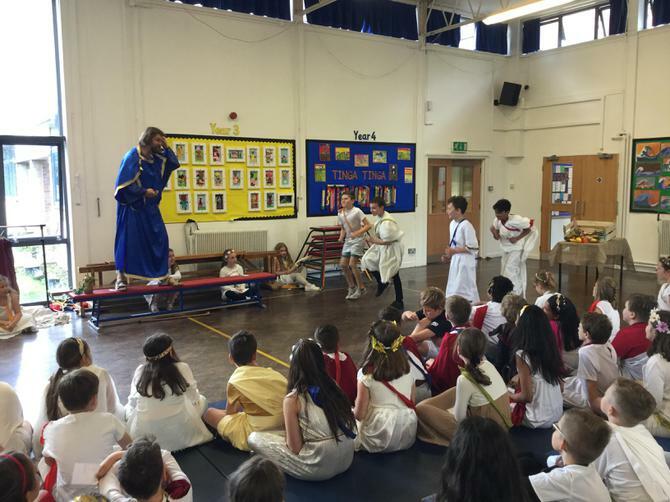 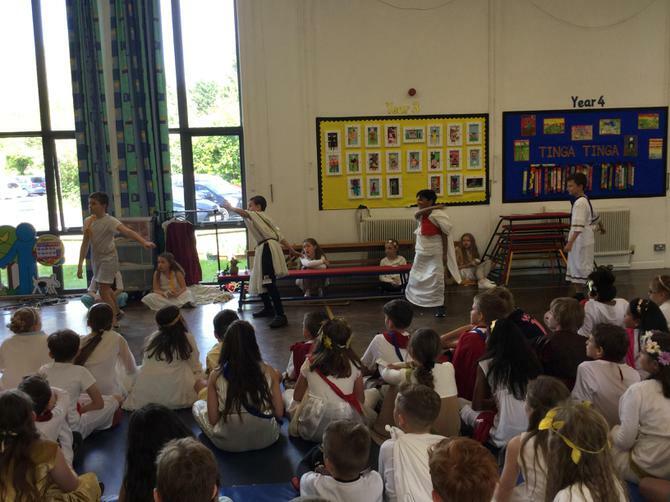 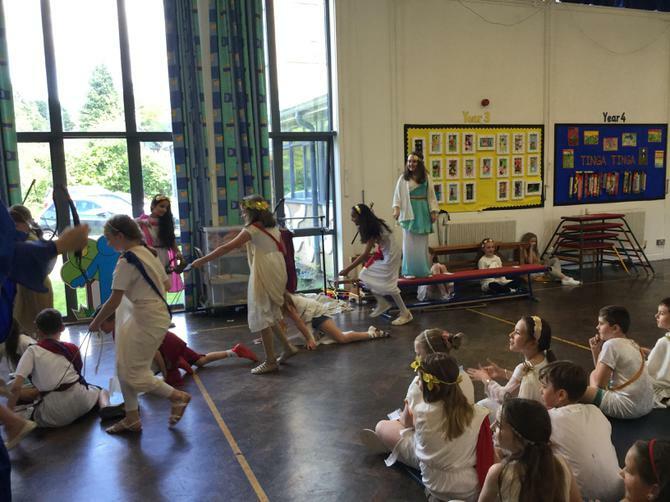 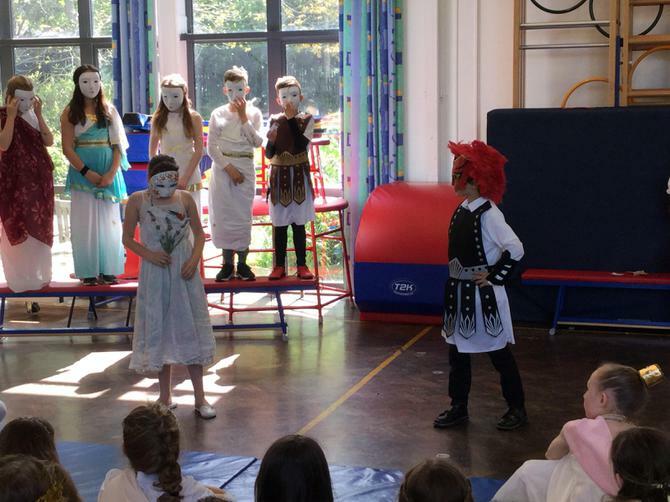 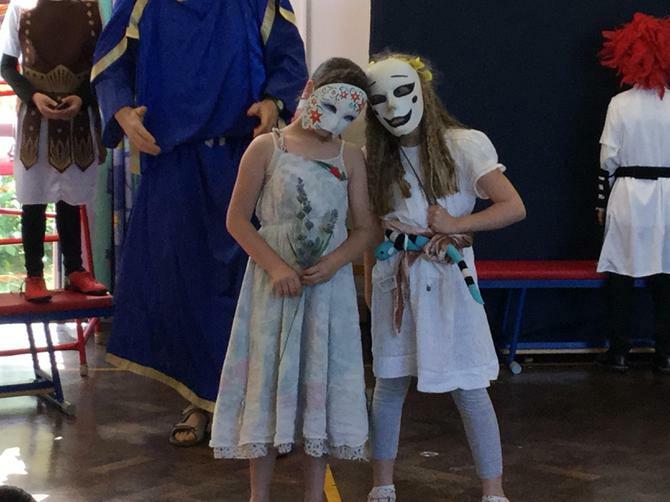 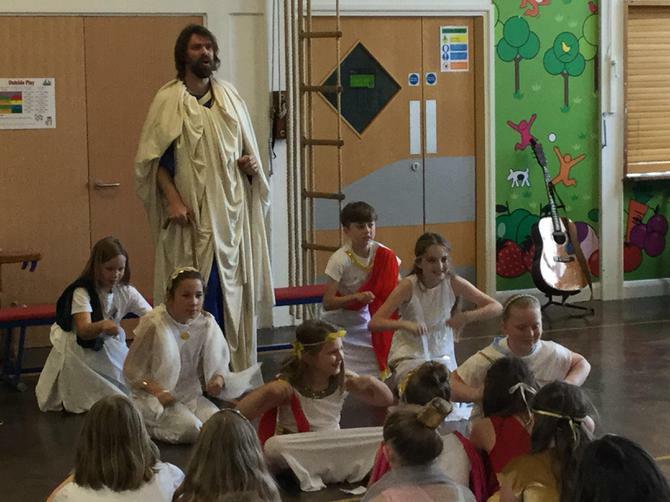 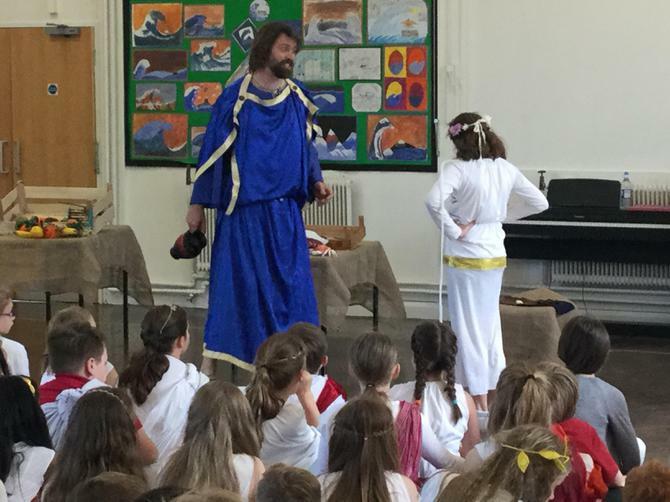 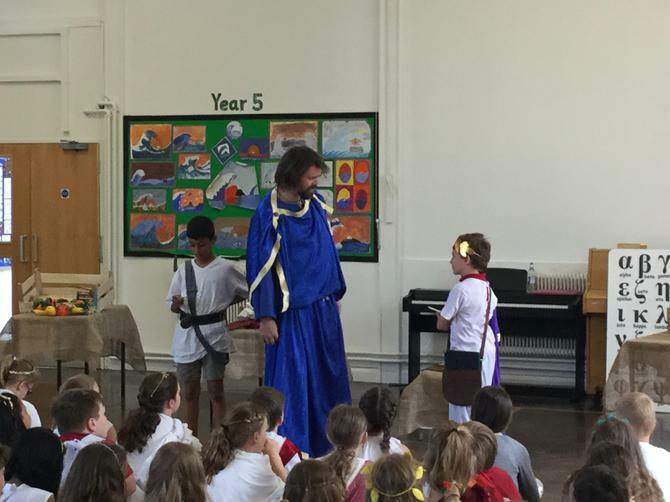 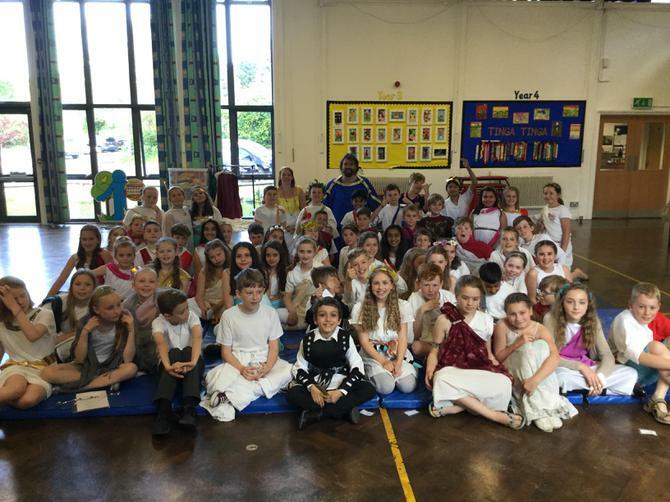 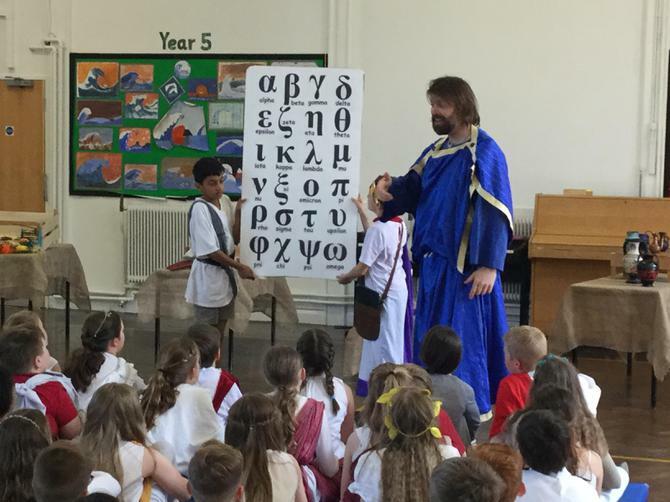 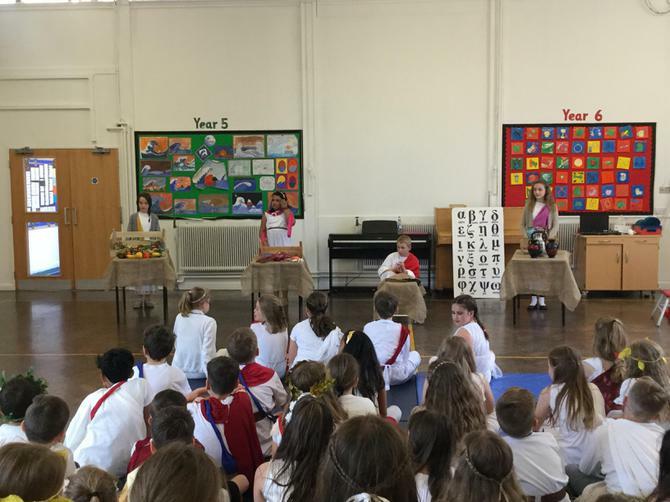 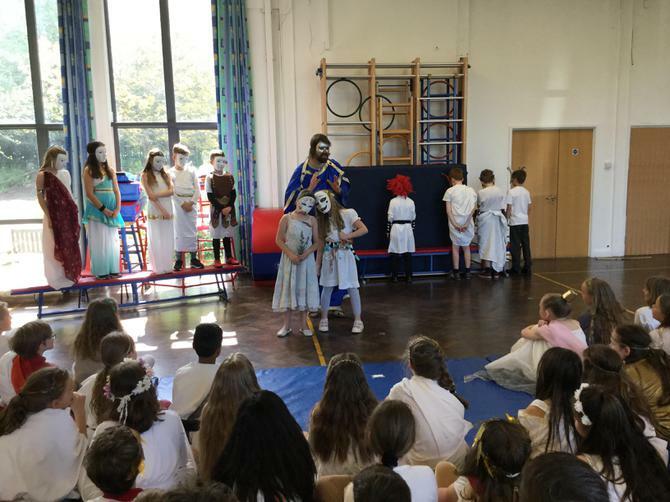 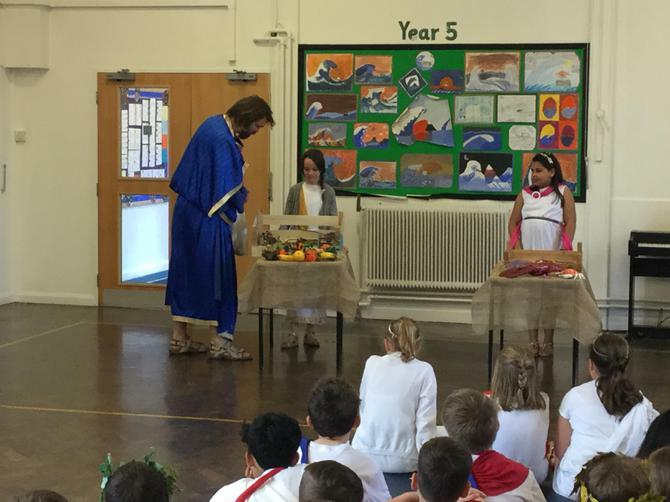 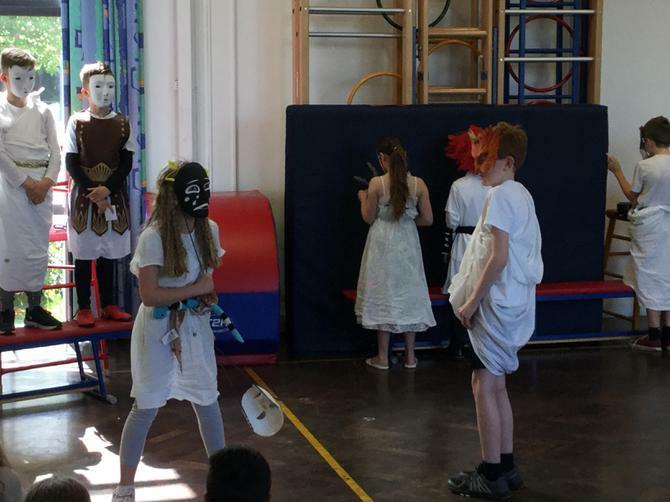 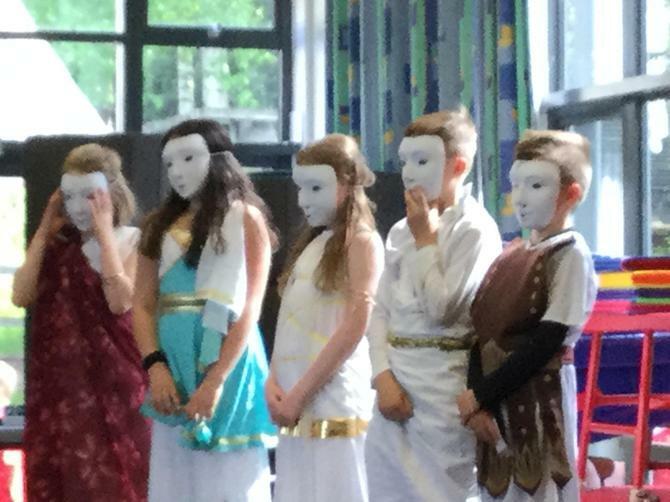 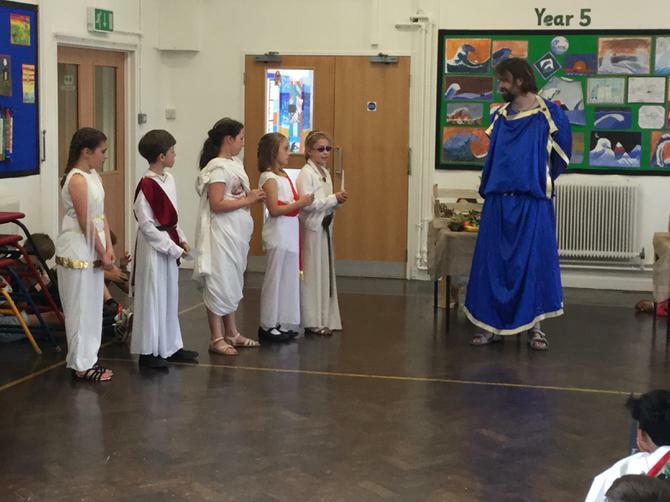 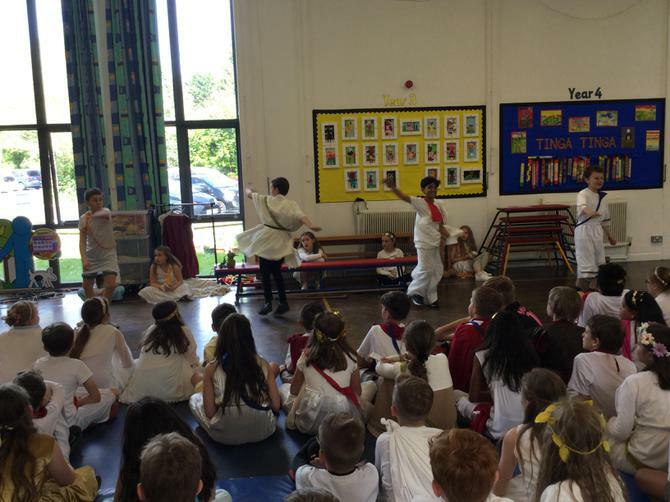 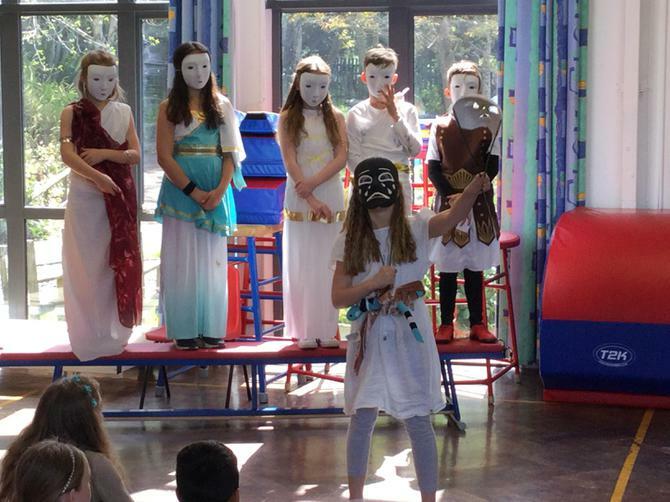 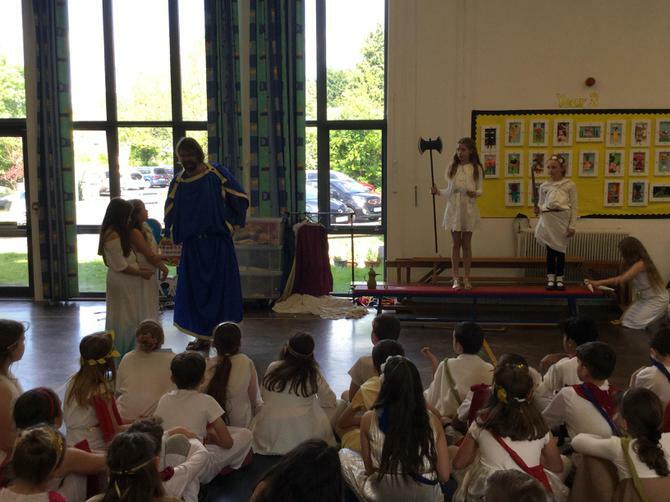 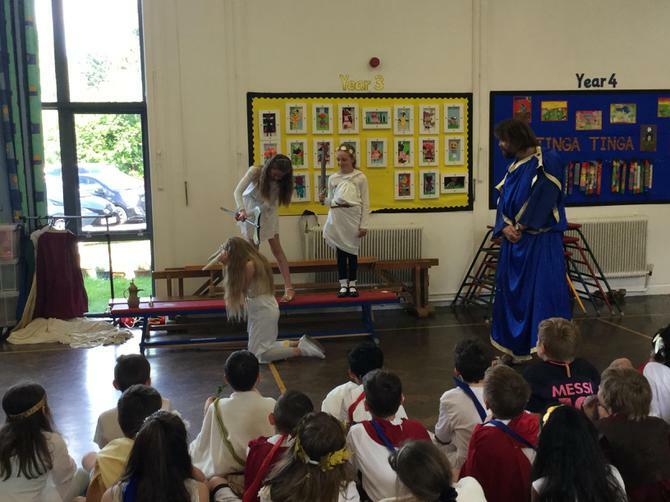 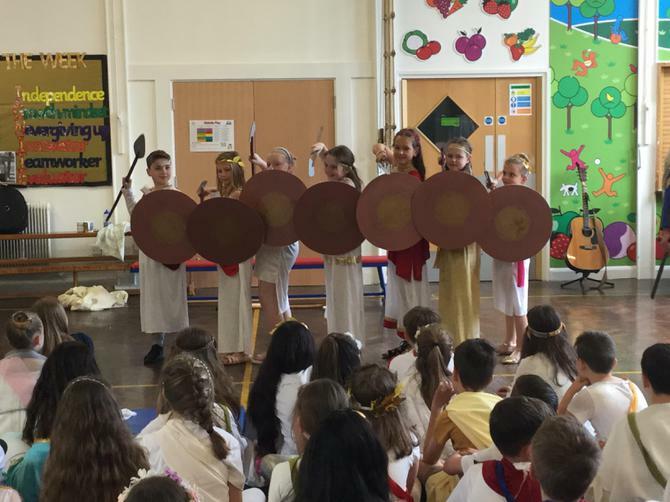 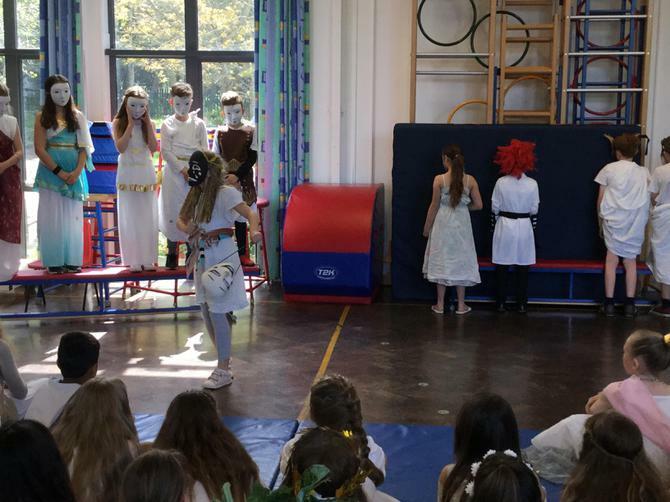 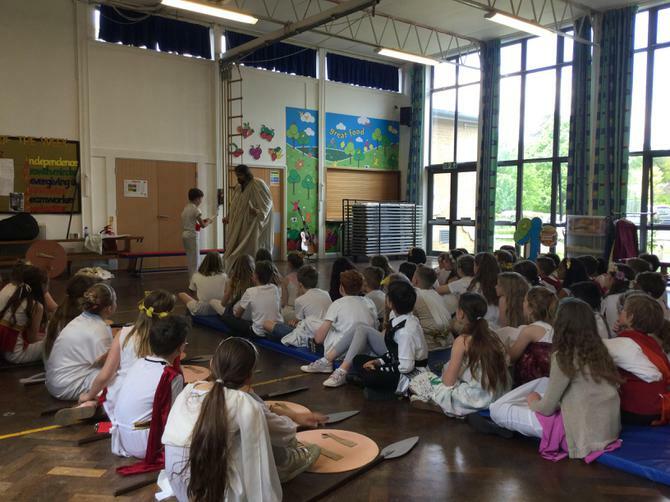 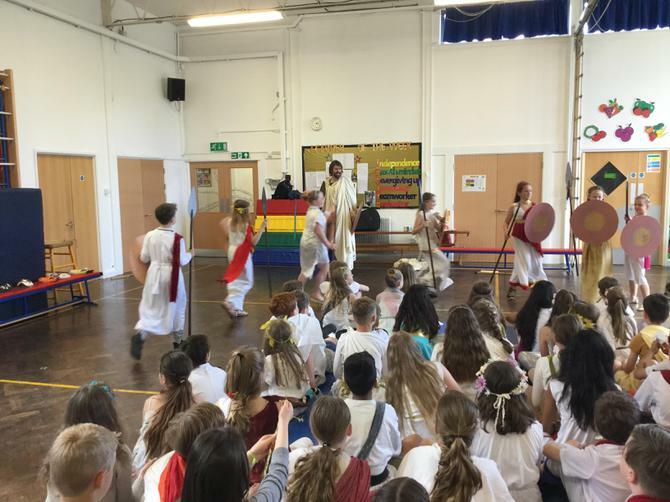 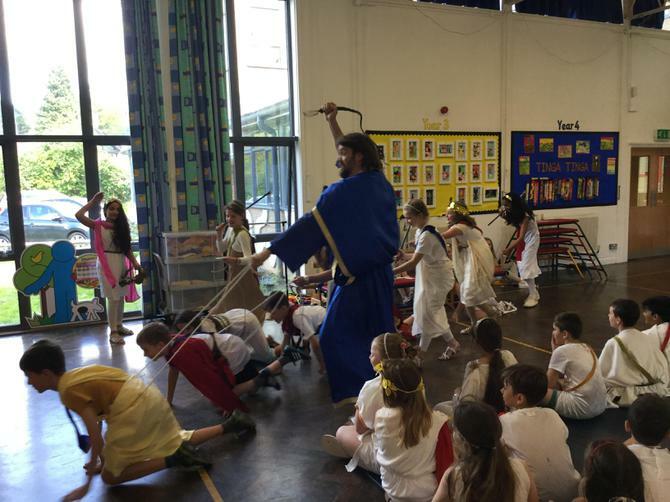 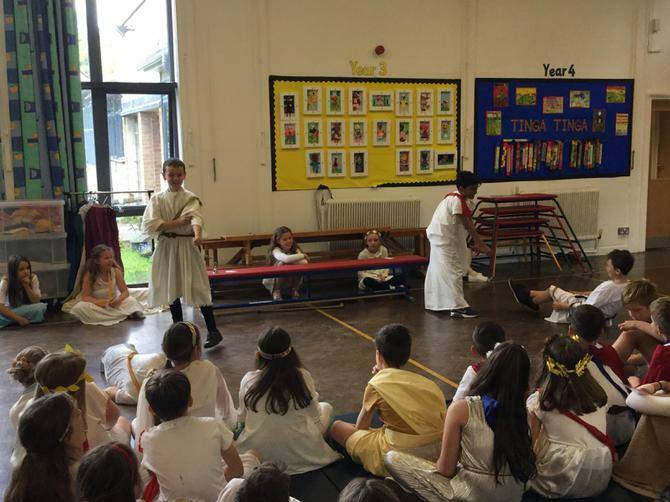 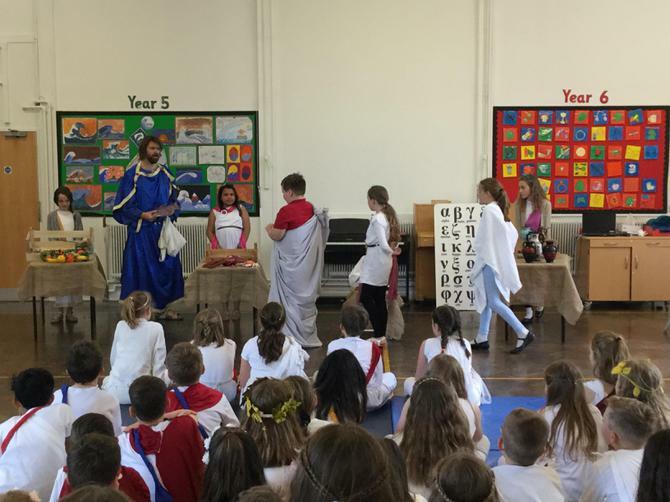 The children spent the morning in groups learning their part in the Greek play 'War and Peace in Ancient Greece'. 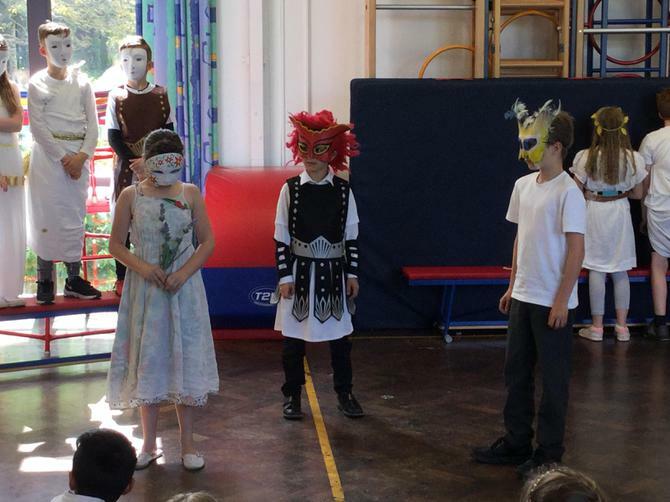 This afternoon they all performed to the year group. 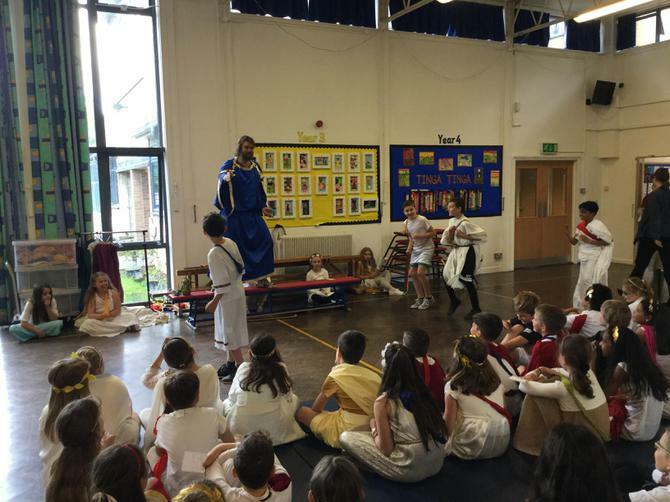 They have been in chariot races, taken part in the Olympics, fought in a battle between Athens and Sparta and sung with Zeus! 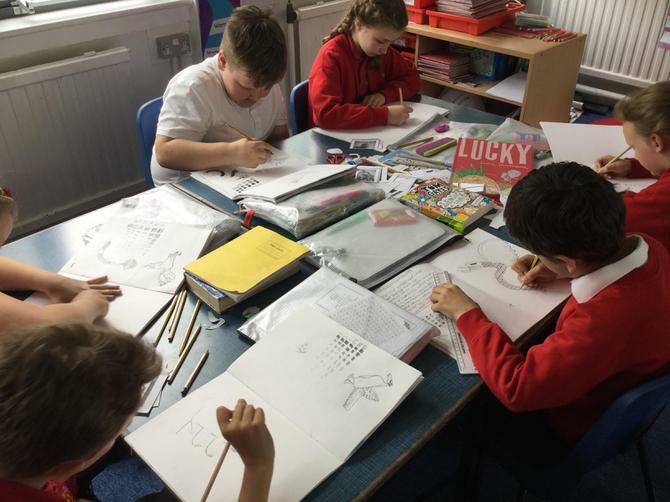 Homework will be set every Thursday and is due in the following Tuesday. 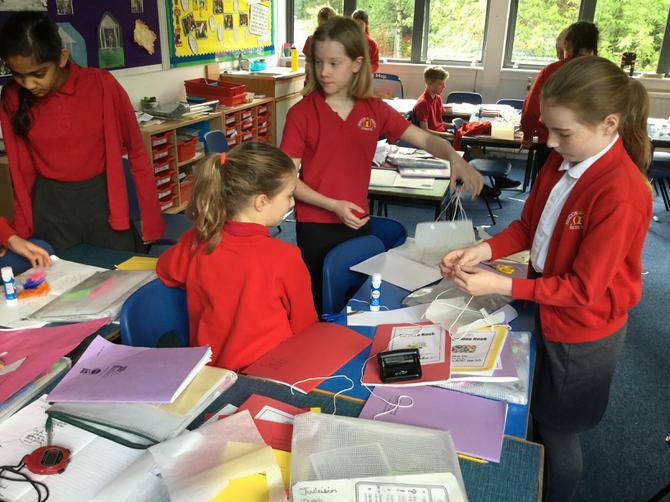 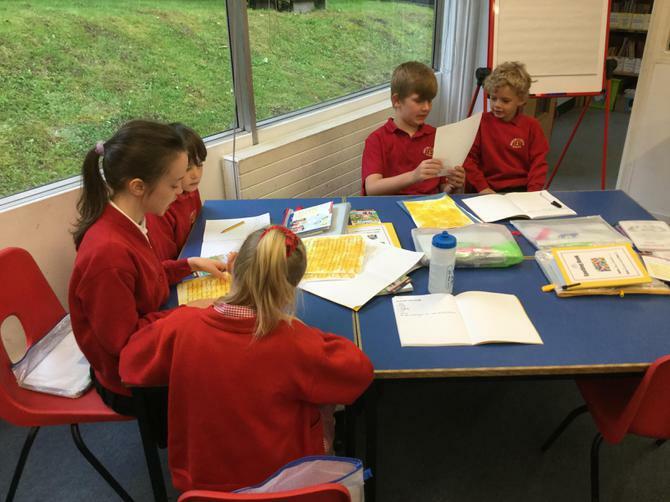 The children will have Maths and English home learning folders, and copies of homework are posted below for you to access. 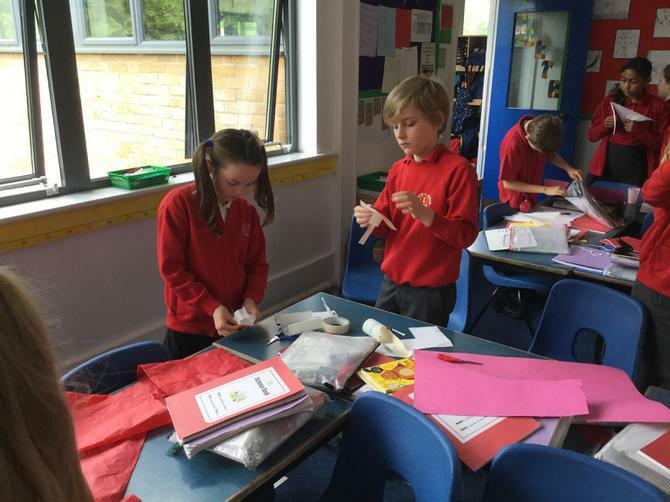 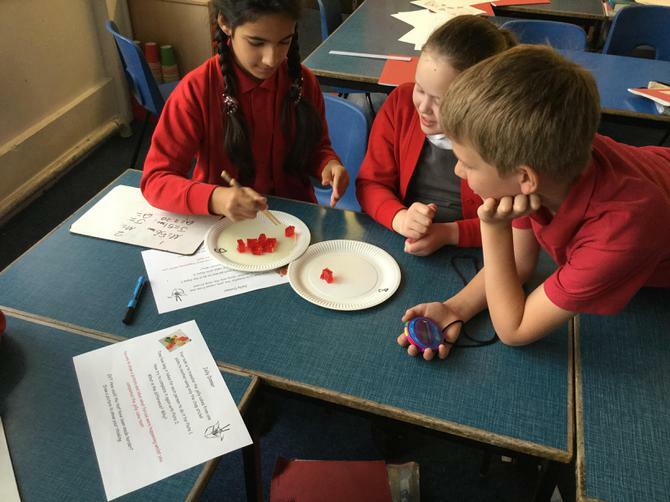 To view the methods we use in Maths at school, please visit the PARENTS section of the website. 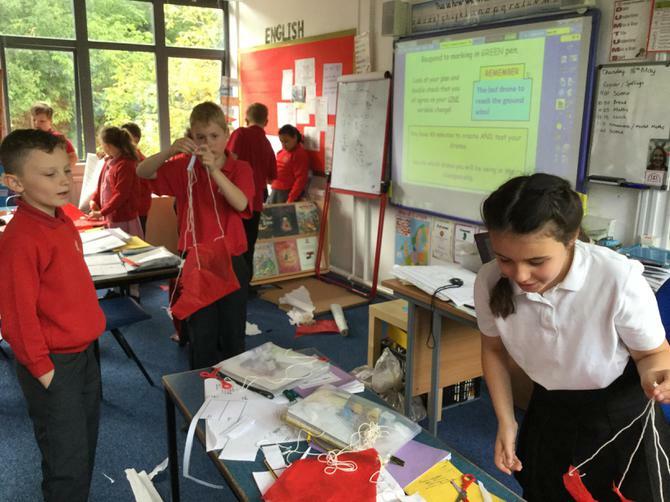 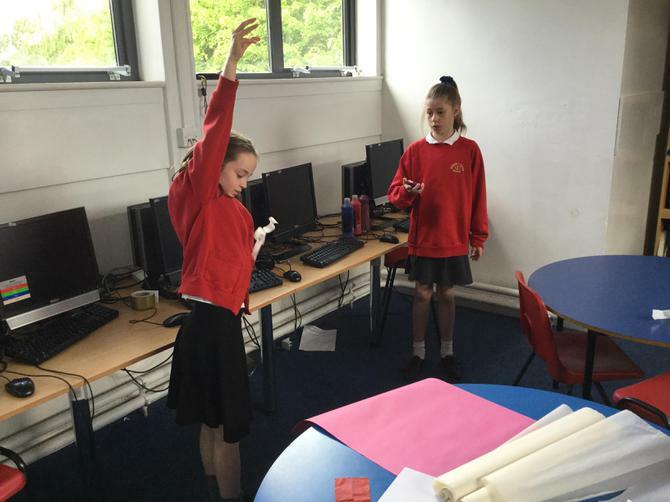 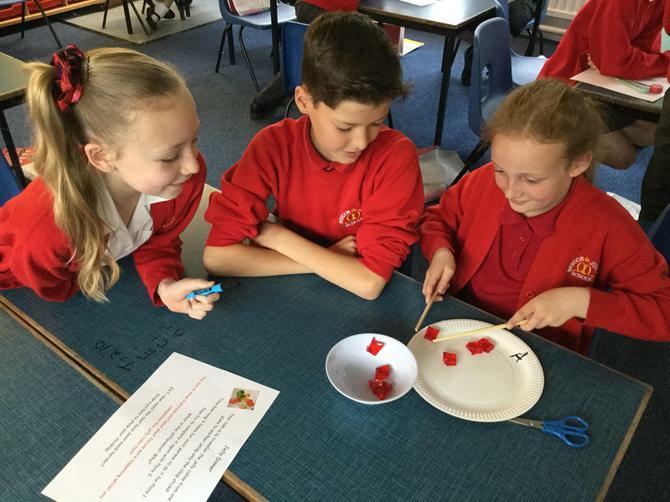 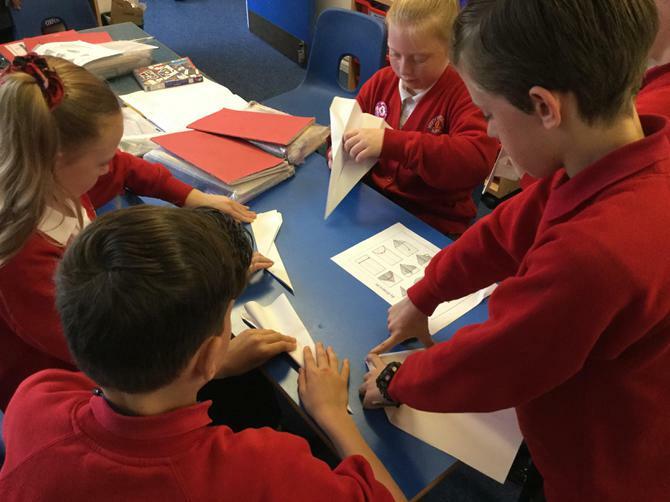 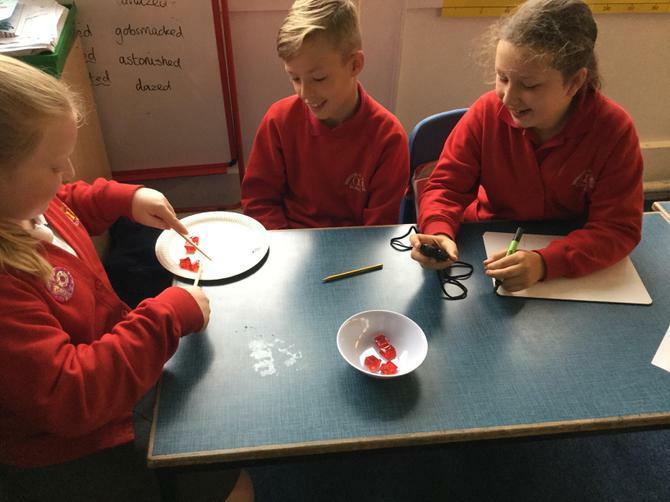 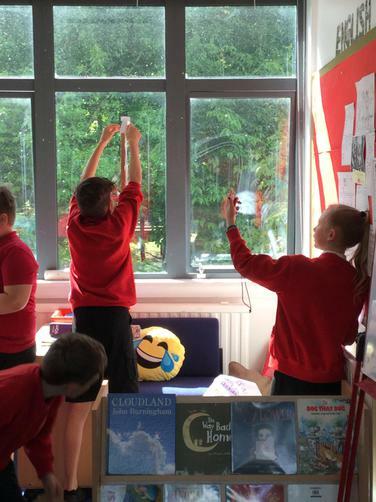 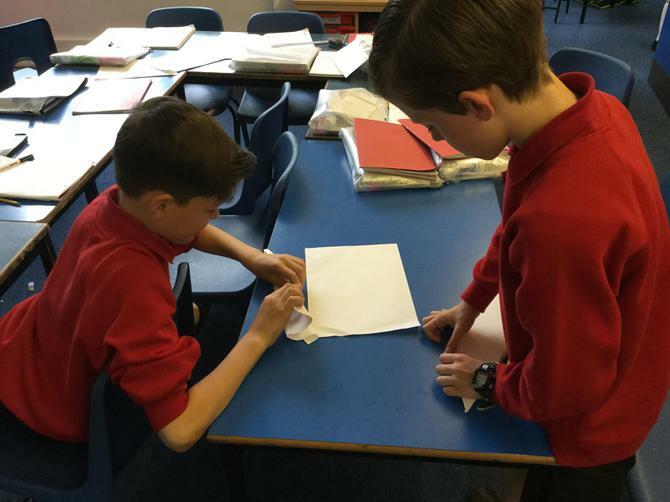 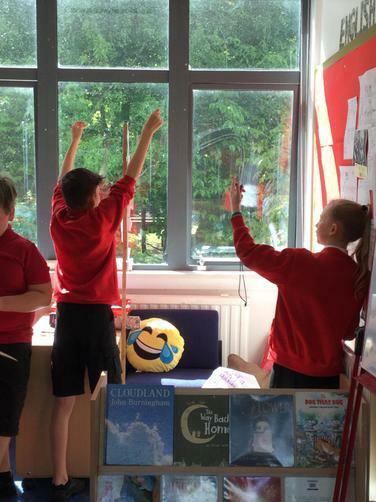 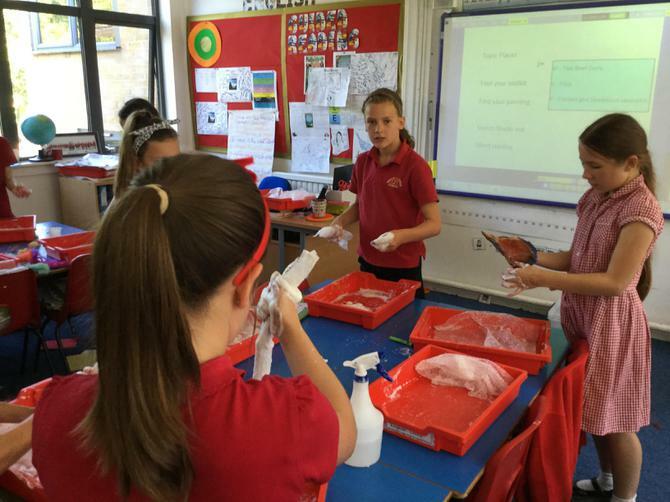 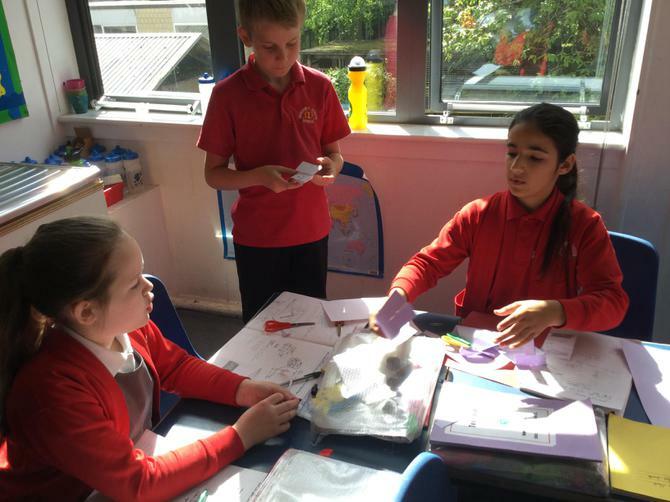 Fruit Shoot Maths Game - Fractions to decimals Match the fractions to the decuimals and splat the fruit!! 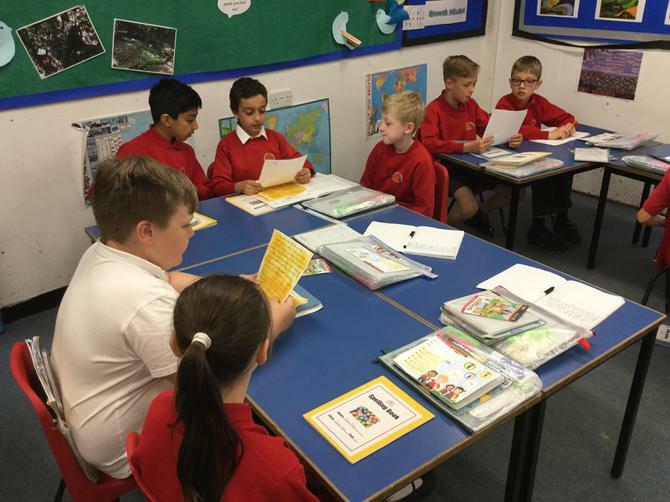 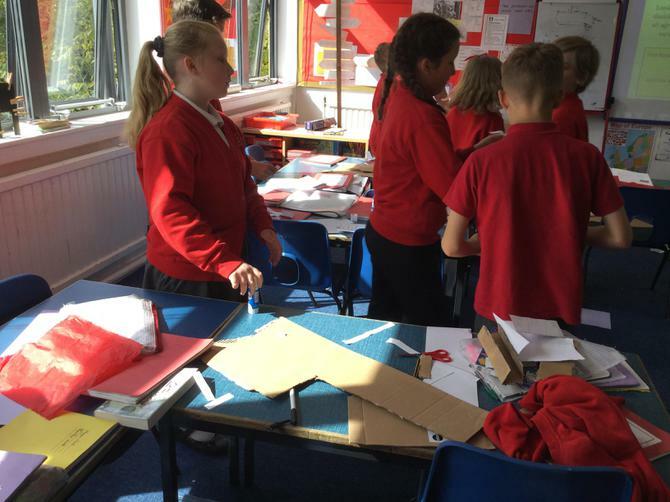 English Skills Have a go at the English Skill Activities!